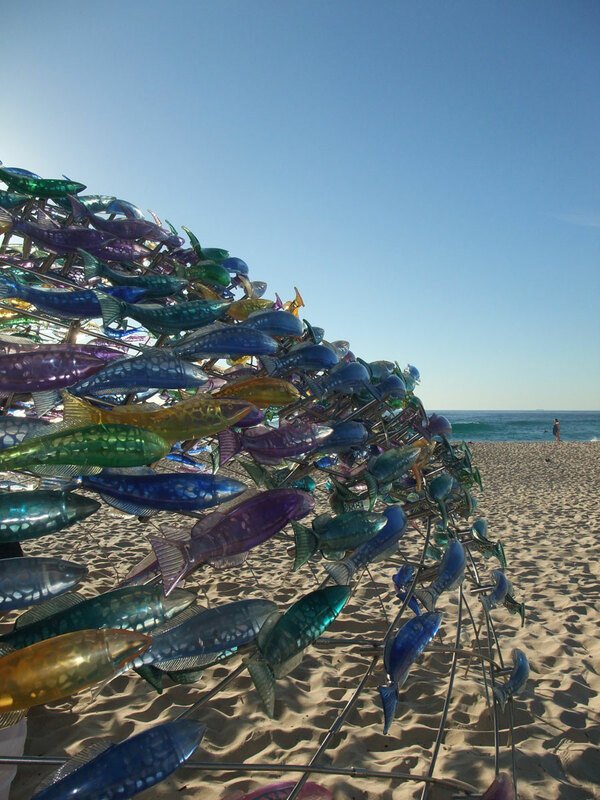 Fish swimming at the same speed in the same direction at the same time often undertake complex manoeuvres while moving together as a whole. 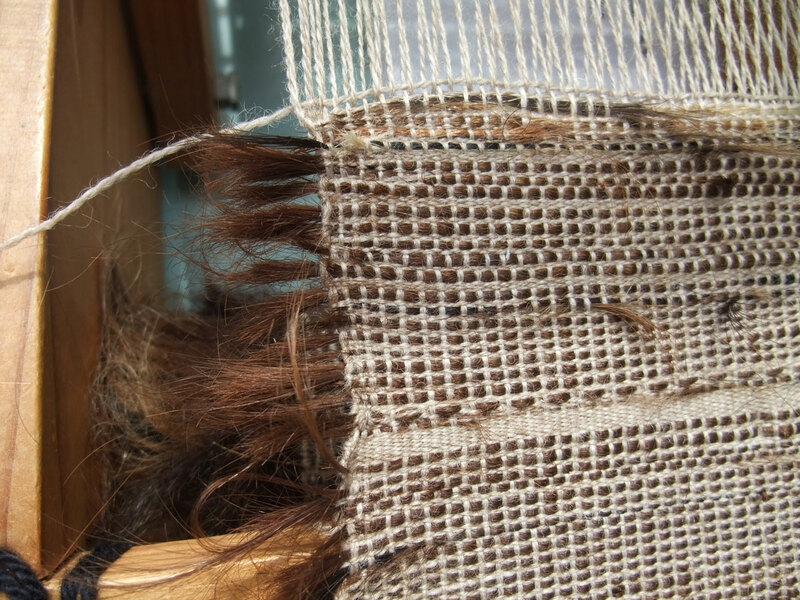 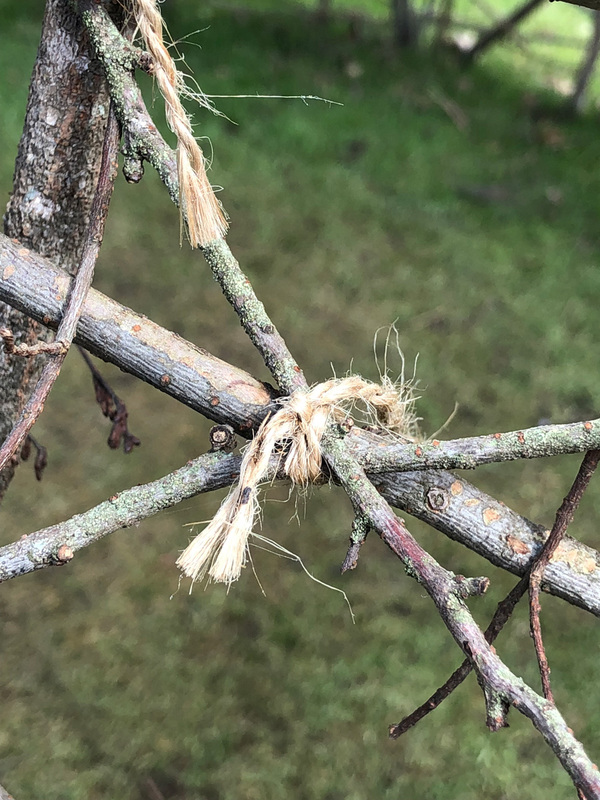 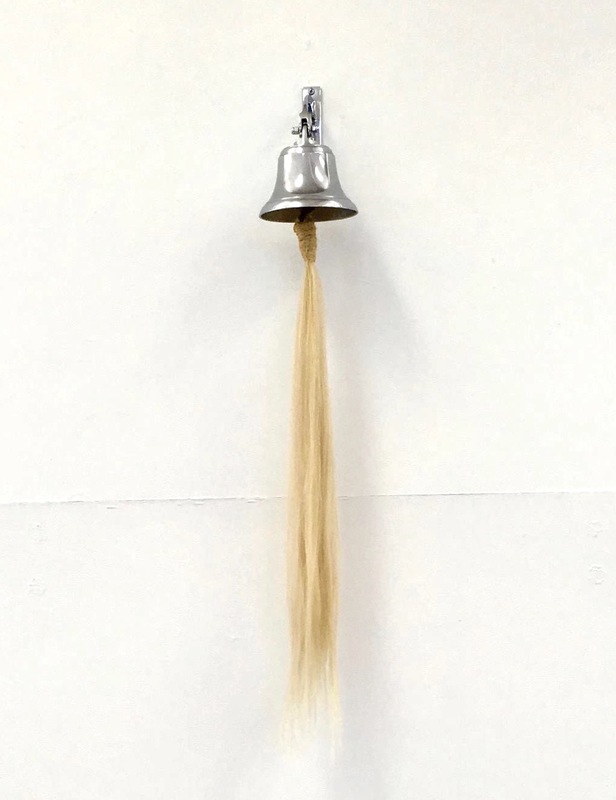 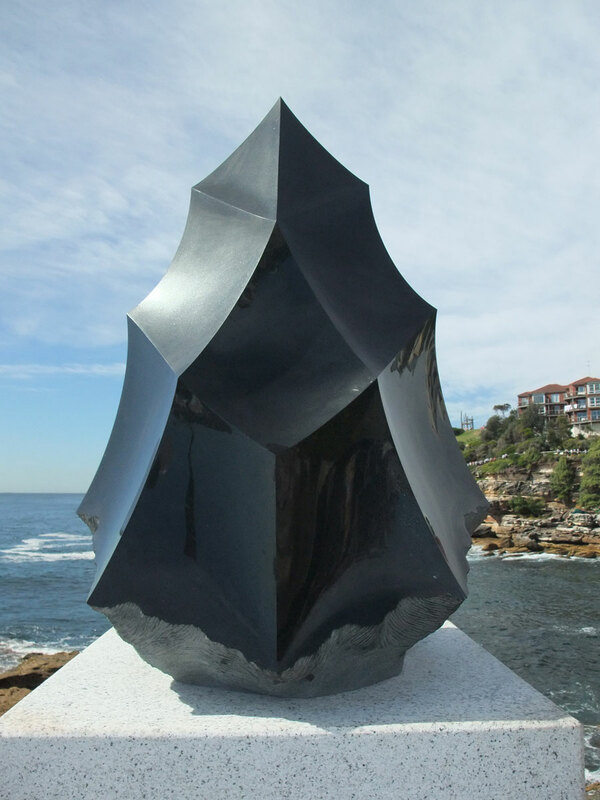 A term of the South Korean philosopher Byung-Chul Han meaning textured angle. 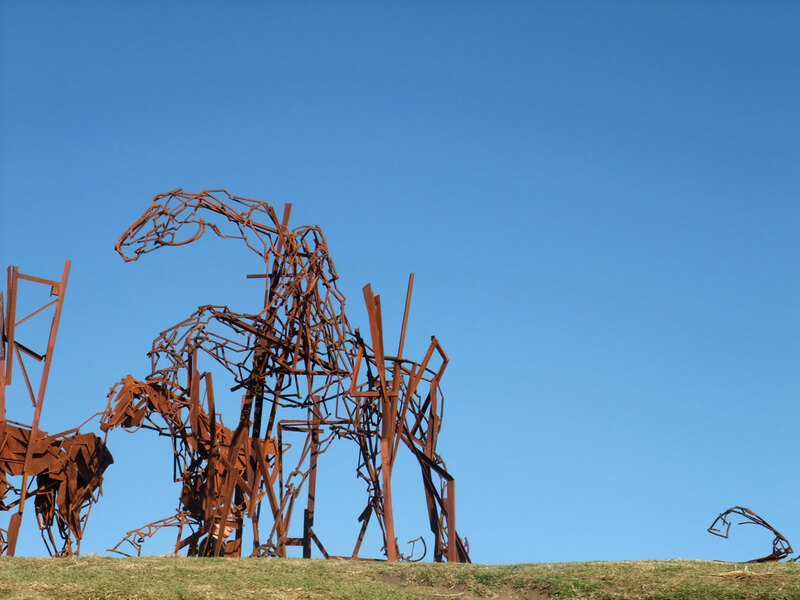 A centenary memorial to the charge of the Australian Light Horse Brigade at Beersheba in Palestine on October 17, 1017. 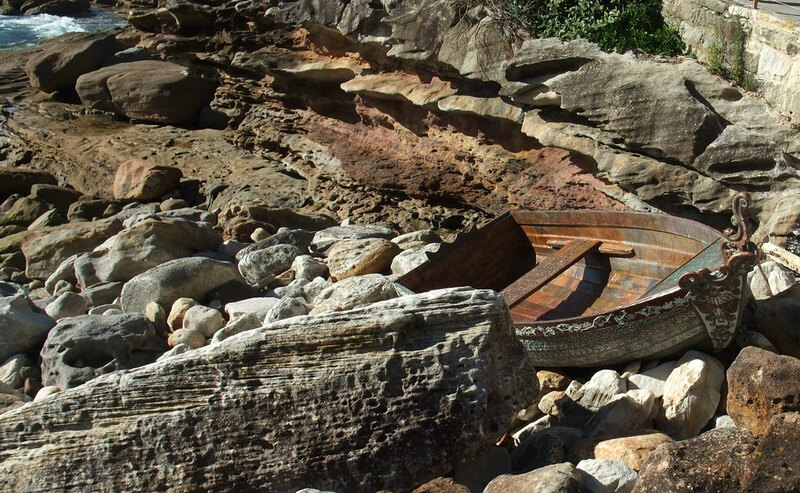 Journeys are intimate stories of those who leave and those left behind. 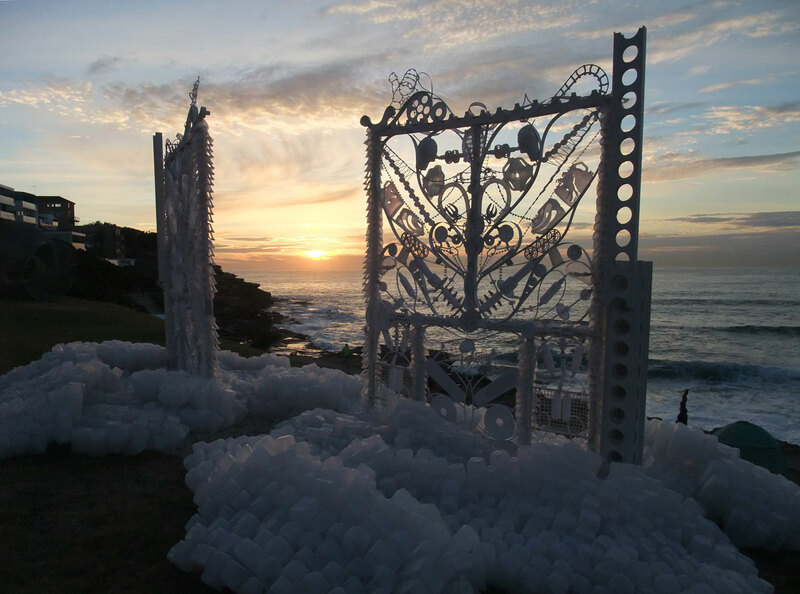 Leaden hearts were convict tokens fashioned from copper coins, left as farewell mementos for loved ones. 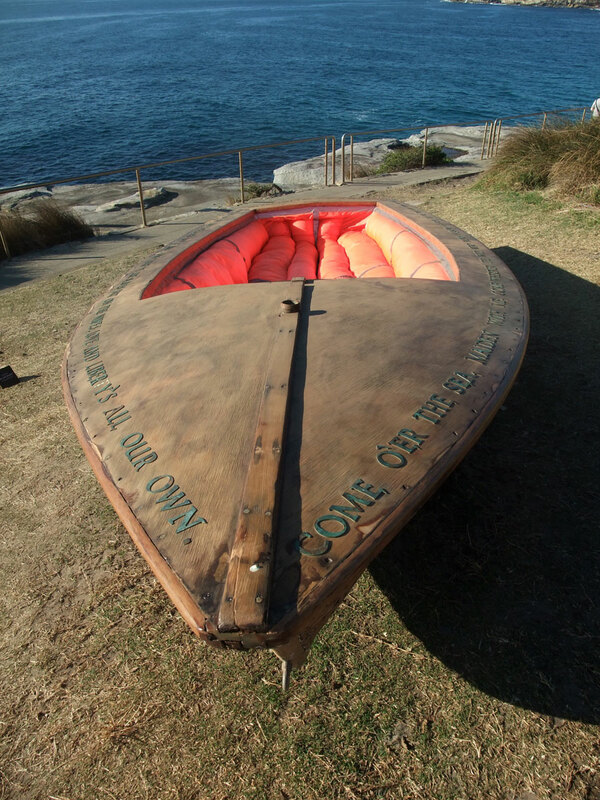 The juxtaposing concept of an un-floatable boat with the life jackets on the inside. 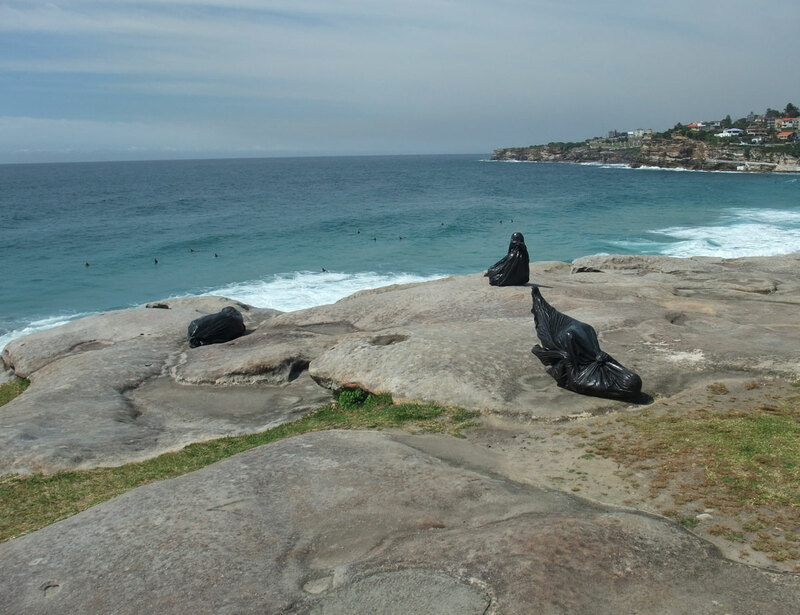 A comment on the current situation of global immigration and a personal expression of my human condition. 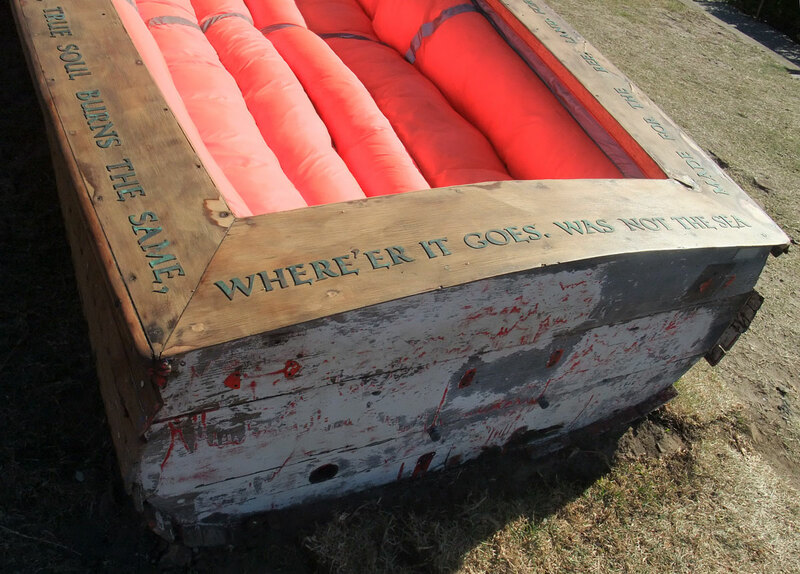 burns the same, where’er it goes. 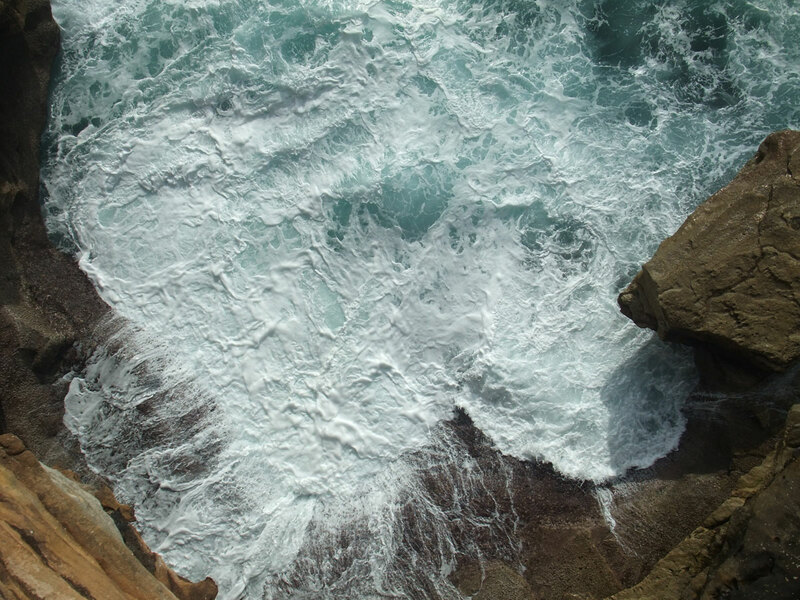 Love and Liberty’s all our own. 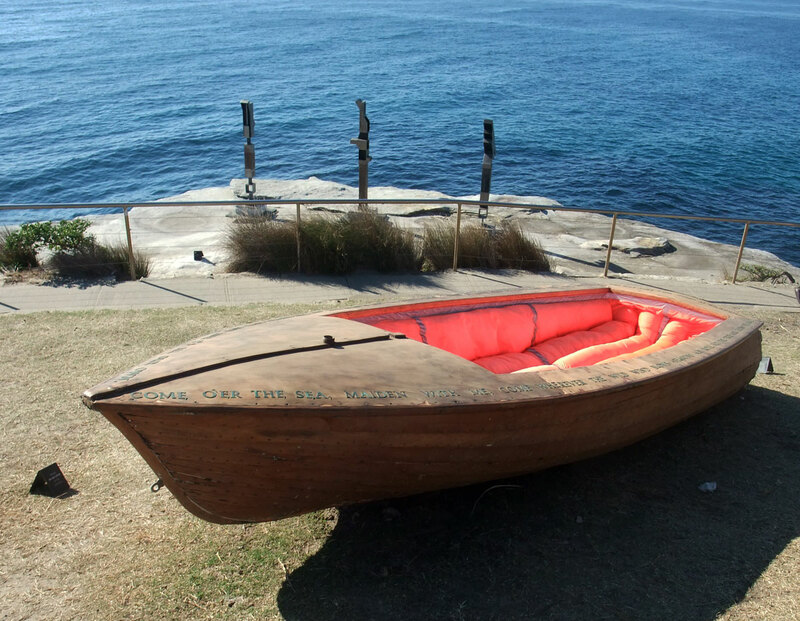 I want to sail away in her! 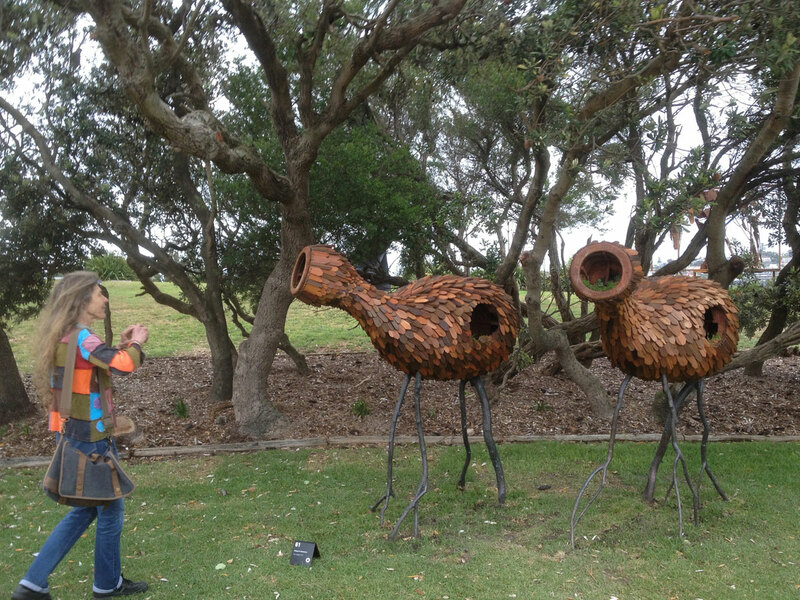 what are these beautifully antlered beings saying to each other? 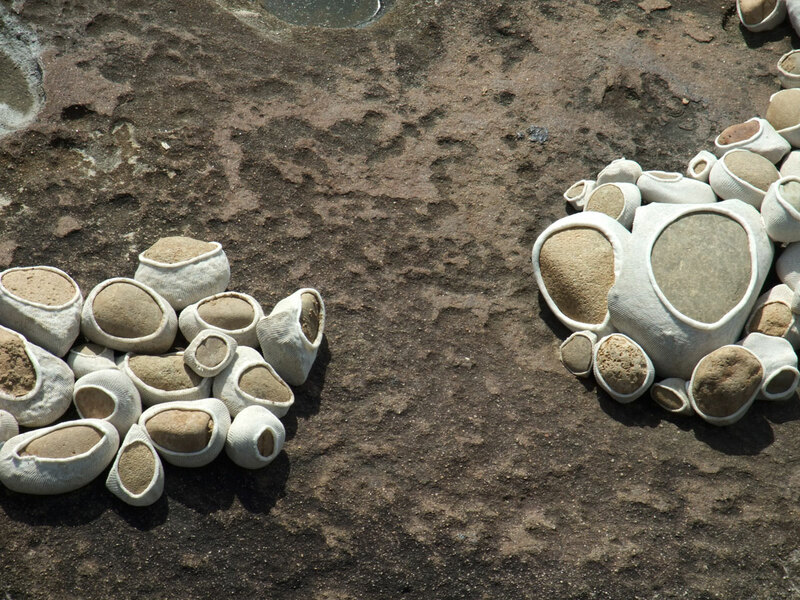 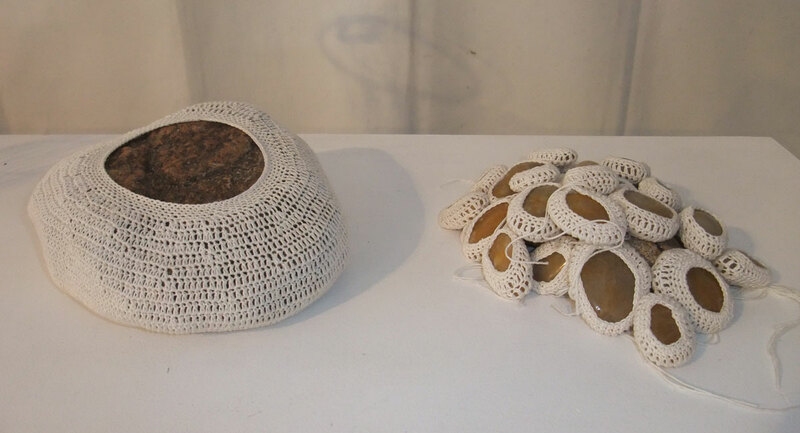 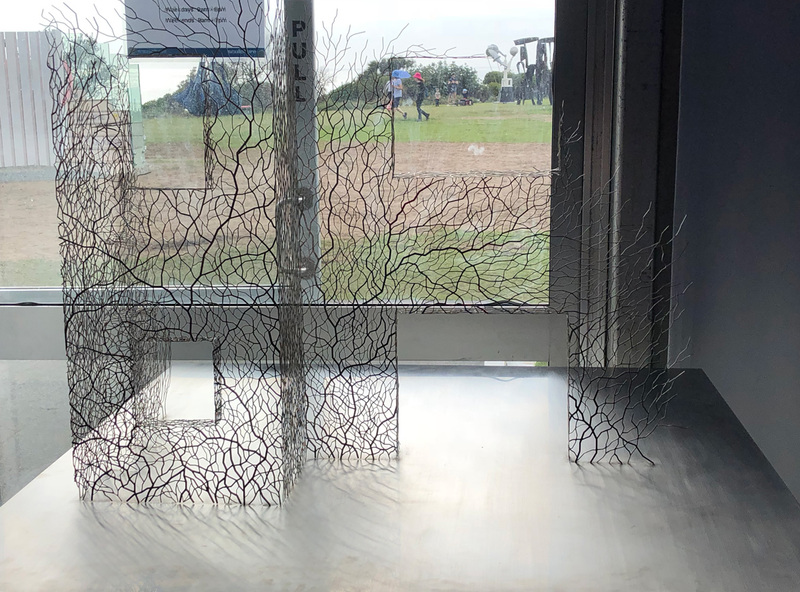 inside the small sculpture pavilion Hannah’s covered stones are described as translated patterns and mended nature. 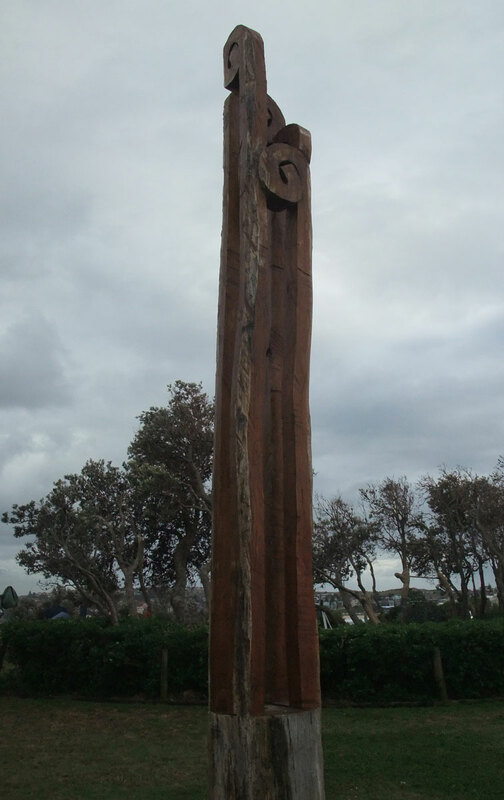 Artist’s statement: “In Japan, an arrow is a talisman that shoots and protects against evil spirits. 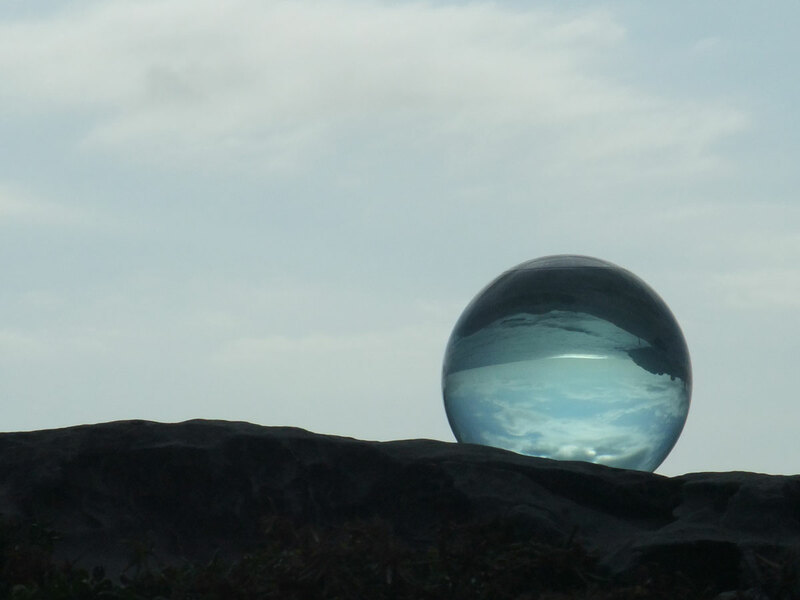 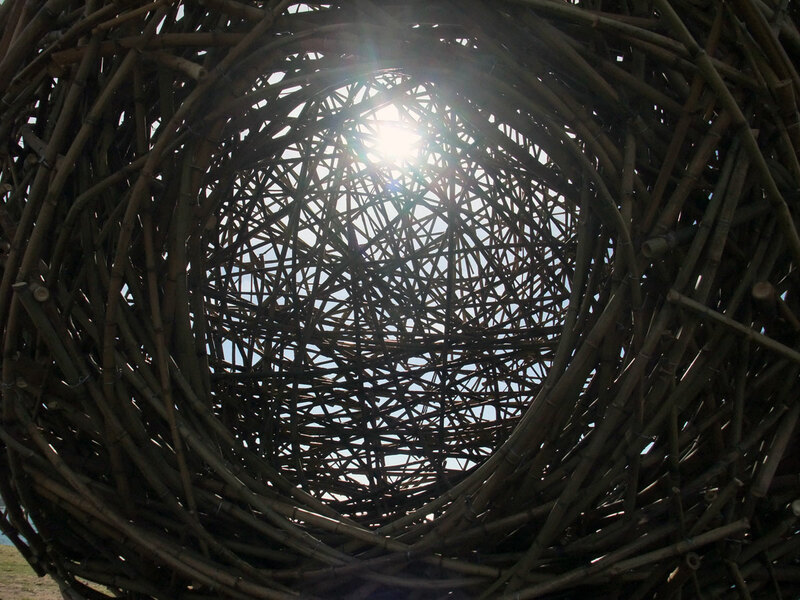 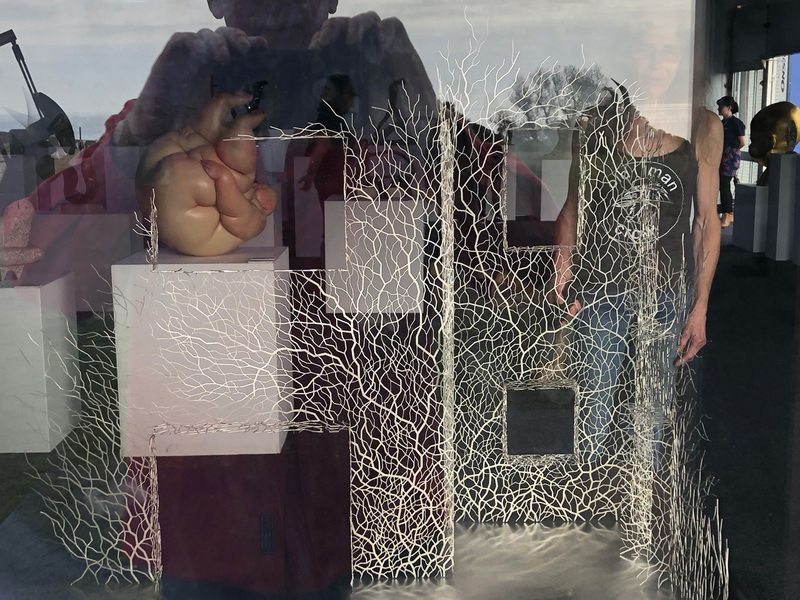 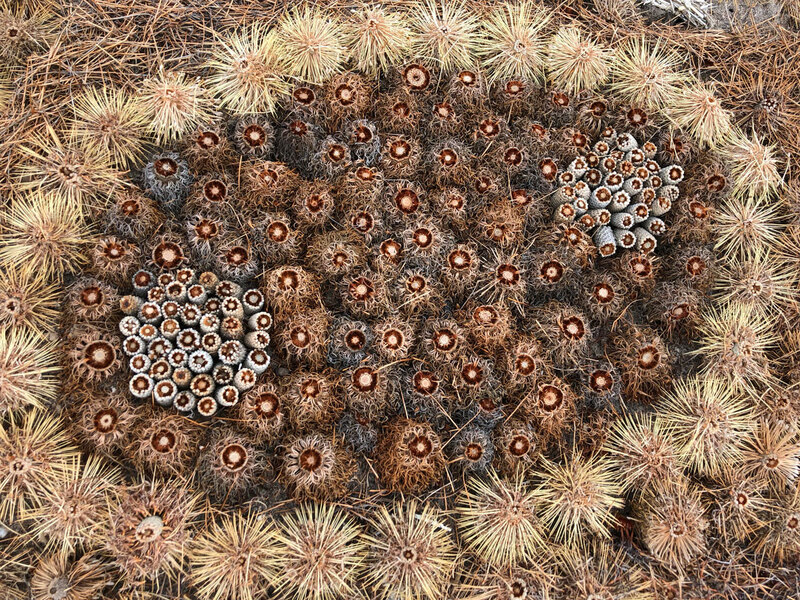 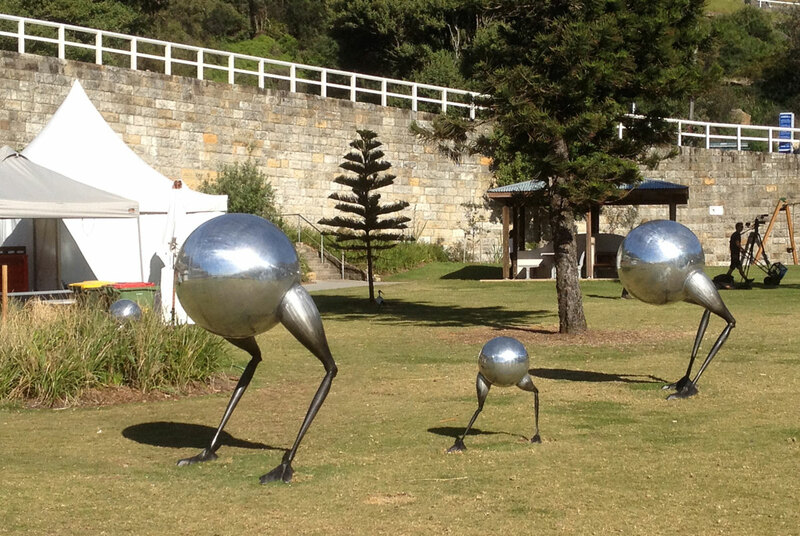 Artist’s statement: “The wanderers are a passing family group of traveling orbs. 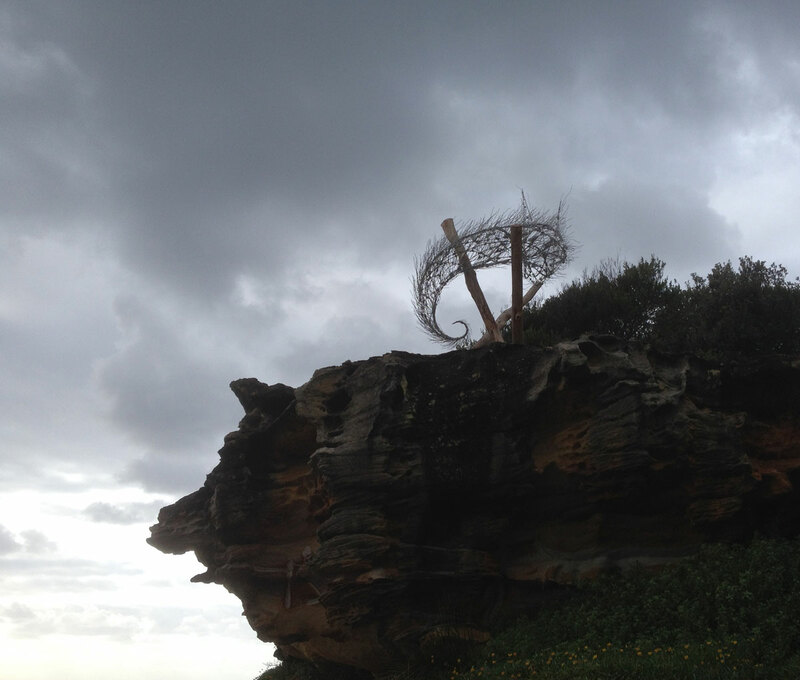 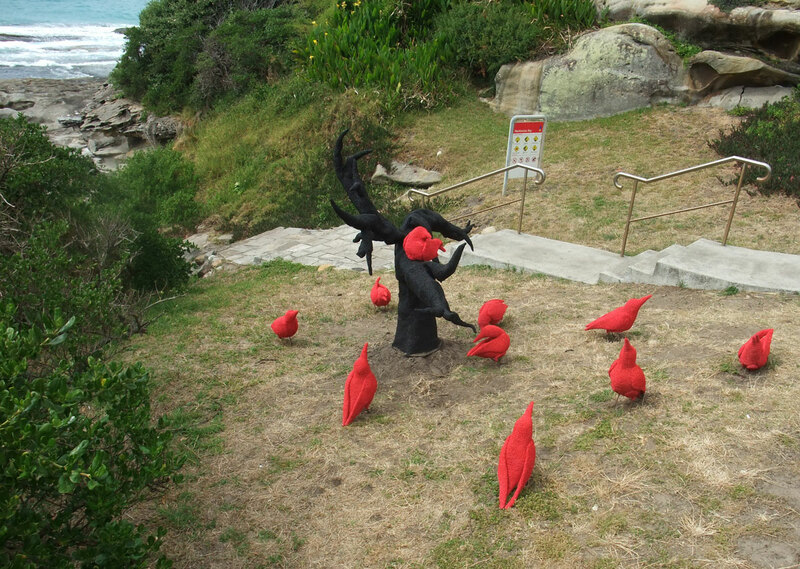 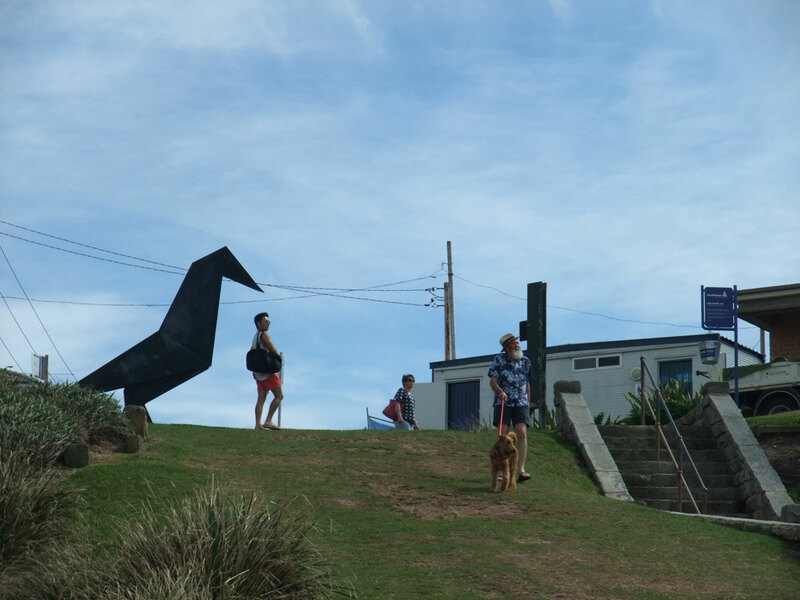 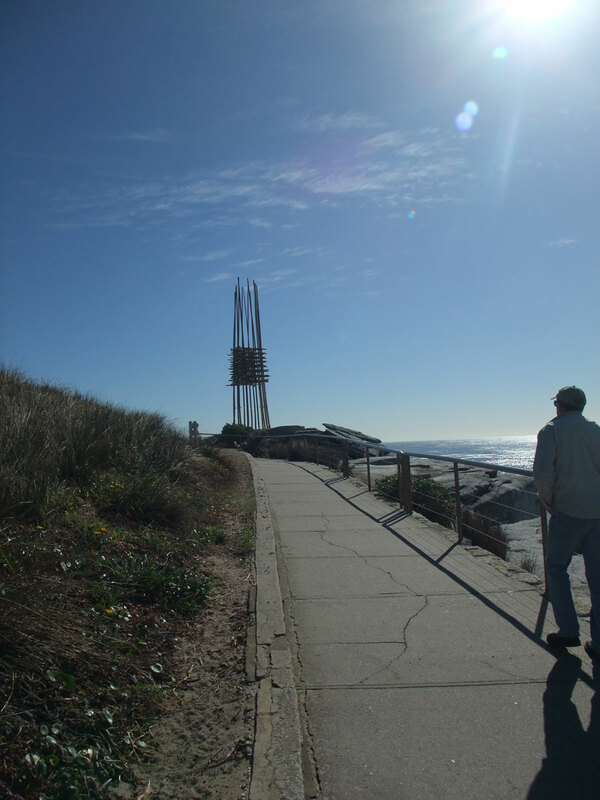 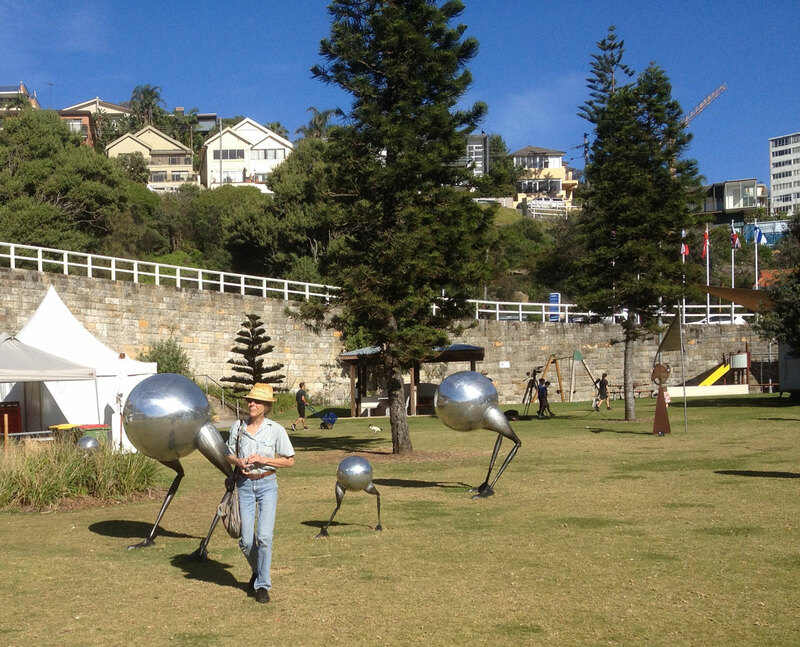 & so we bade fairfarren to all the wonderful Sculpture by the Sea to do some gardening! 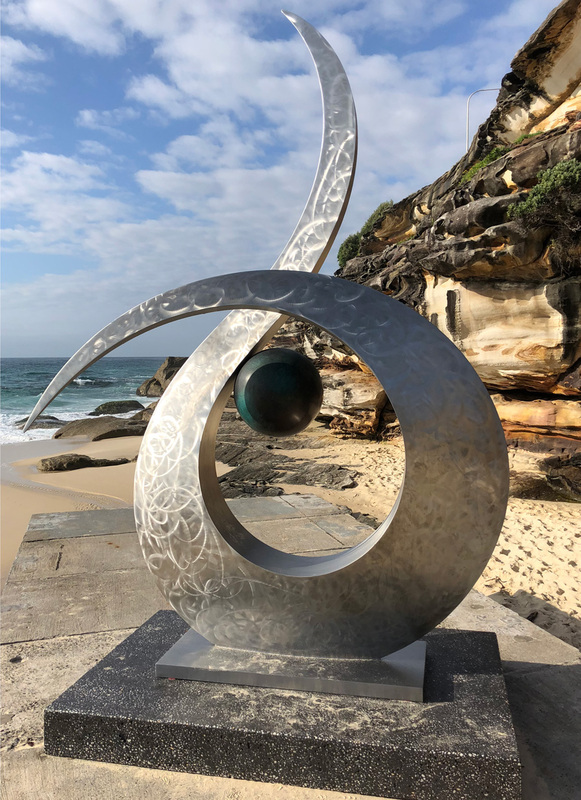 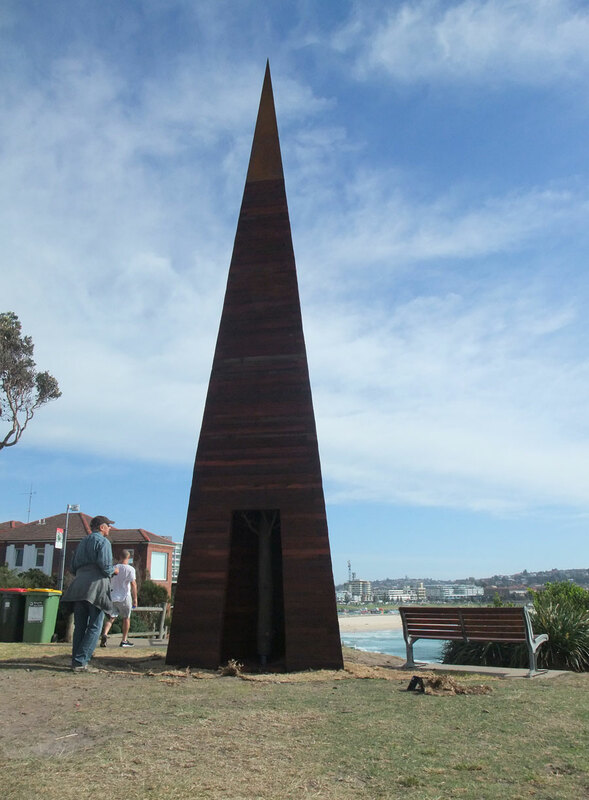 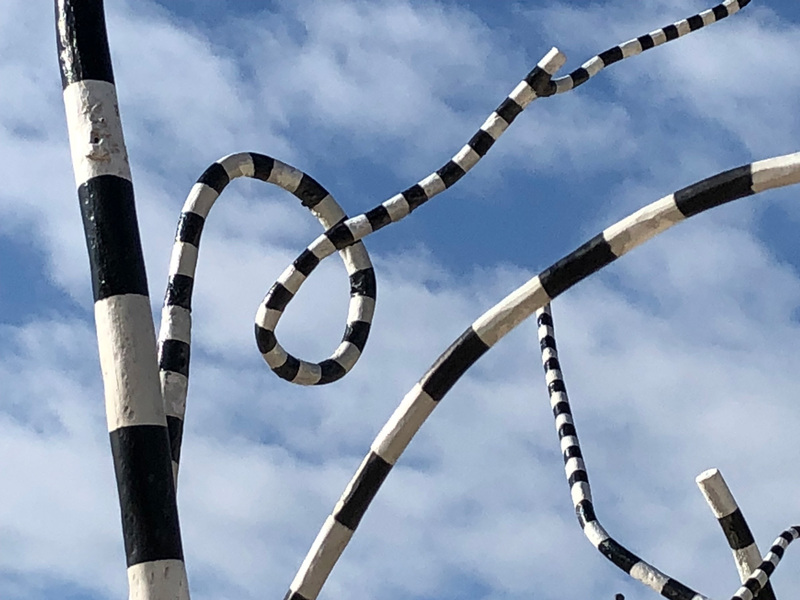 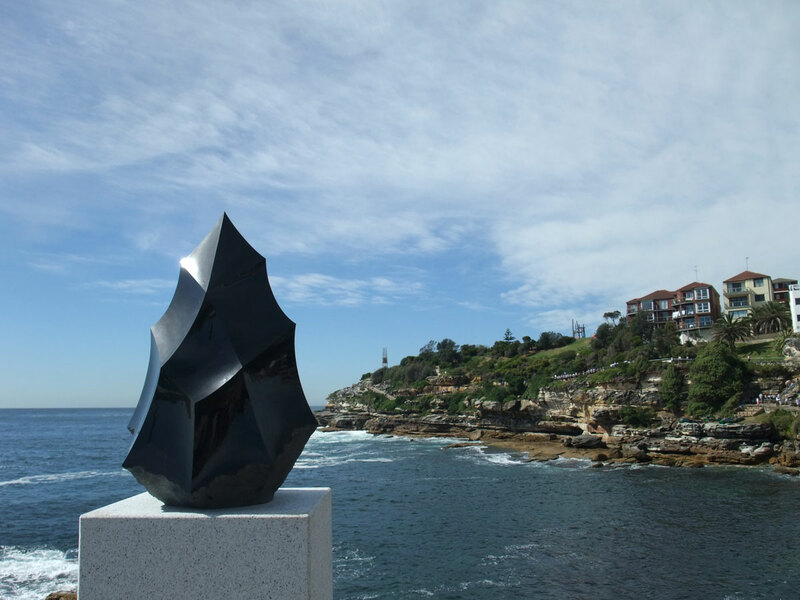 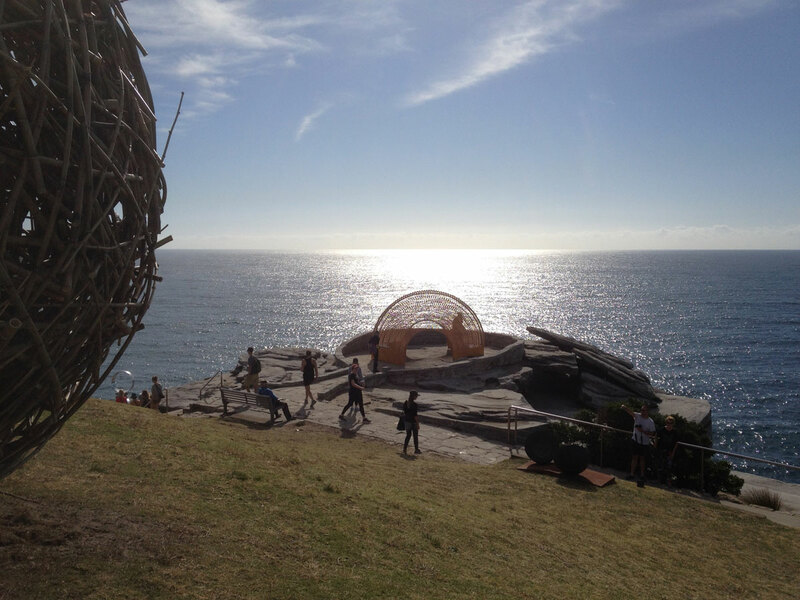 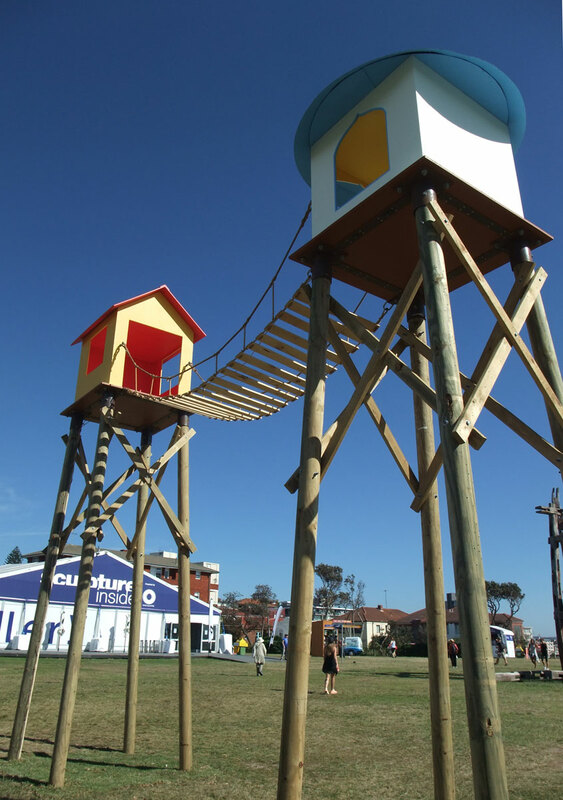 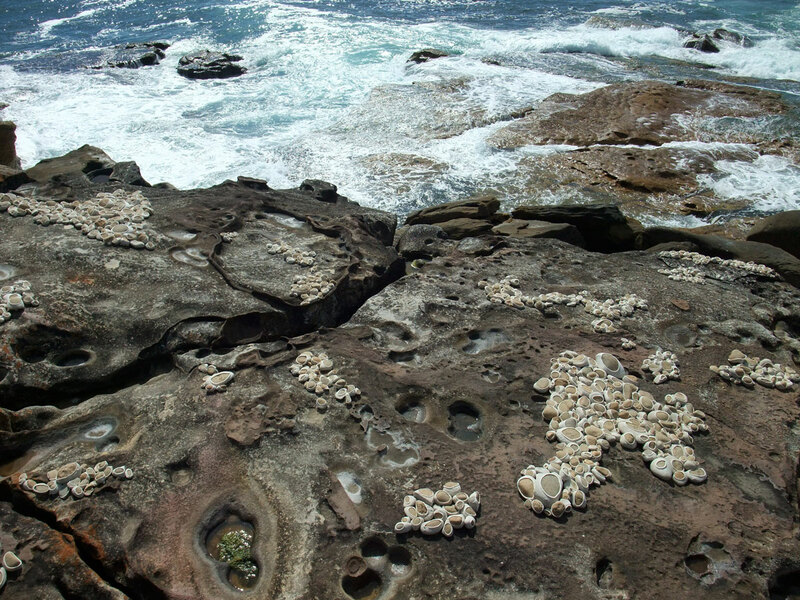 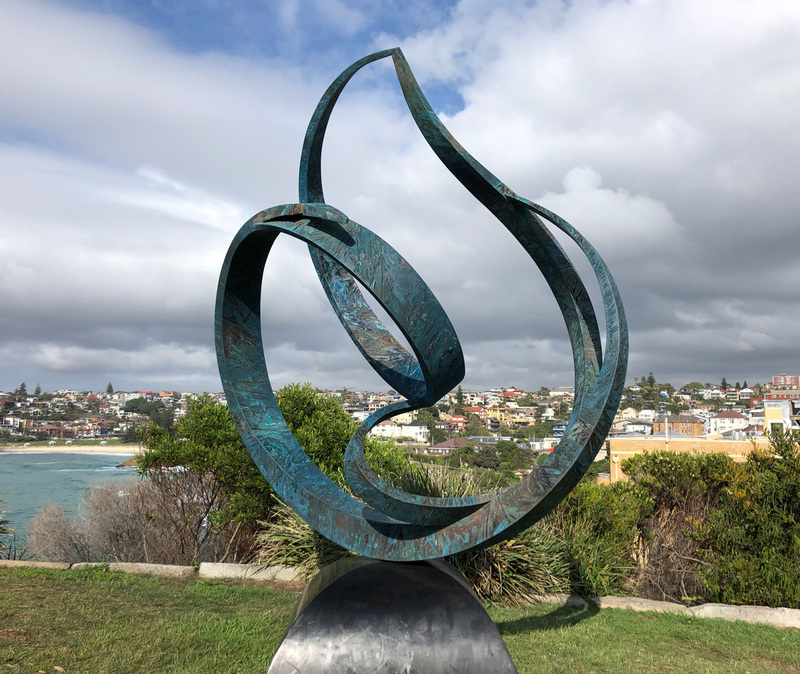 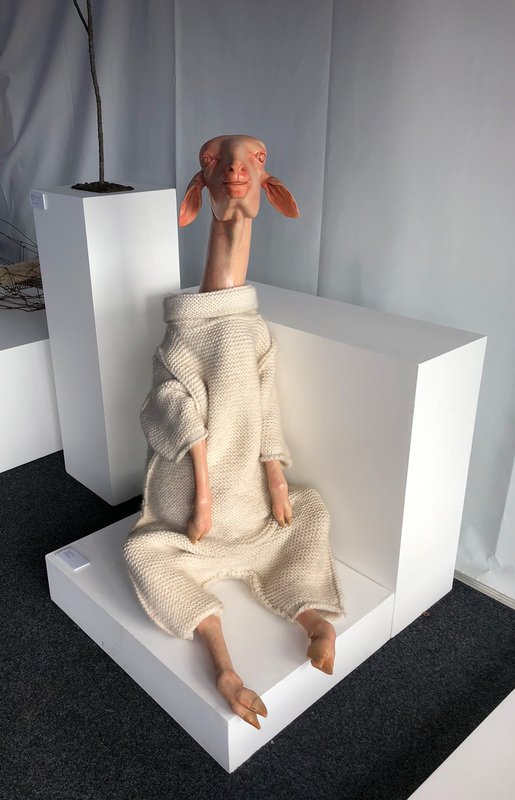 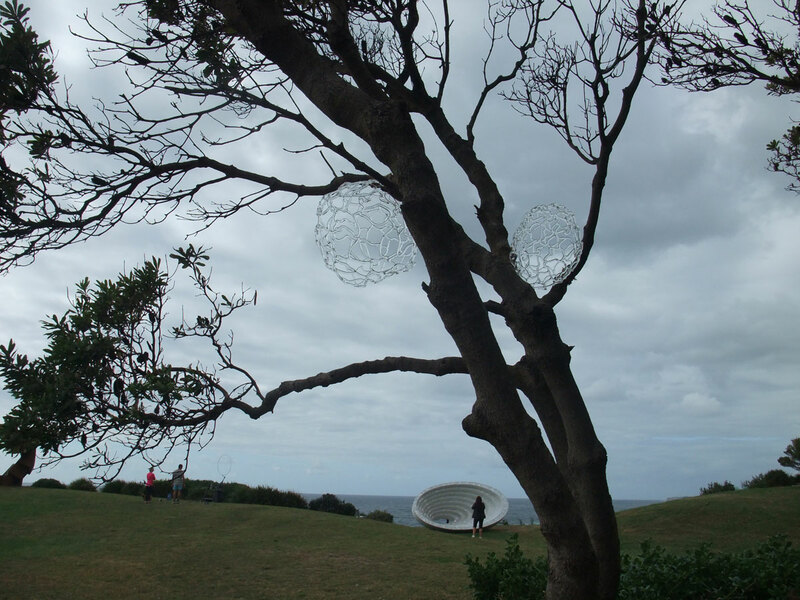 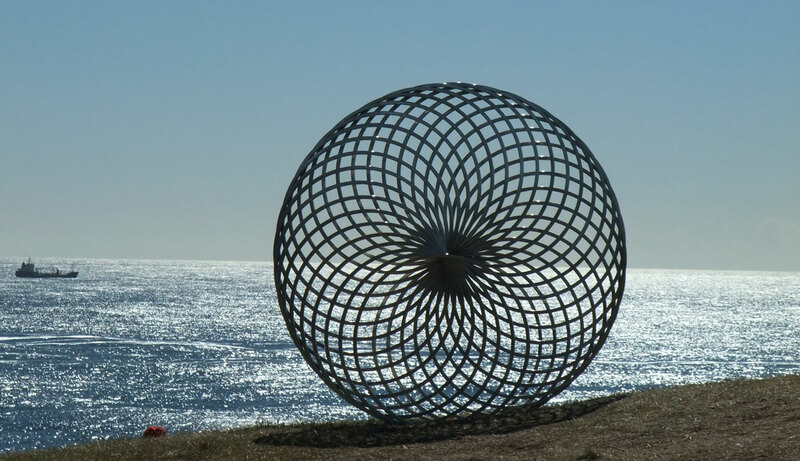 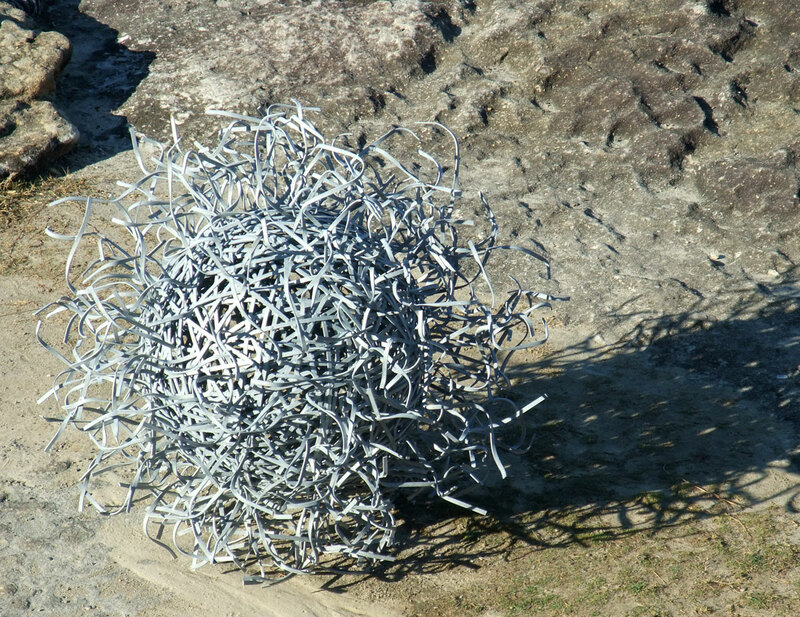 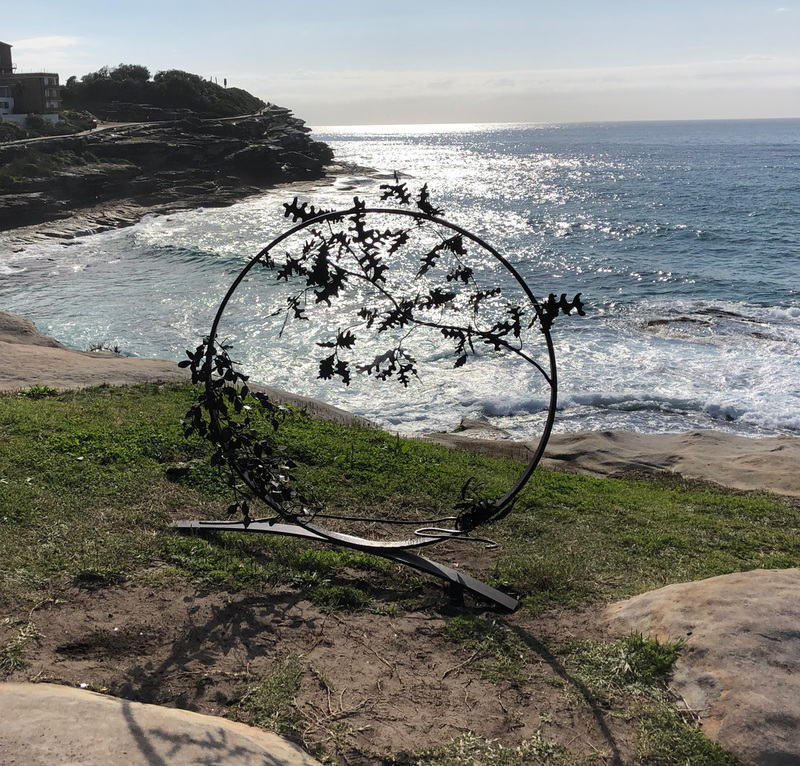 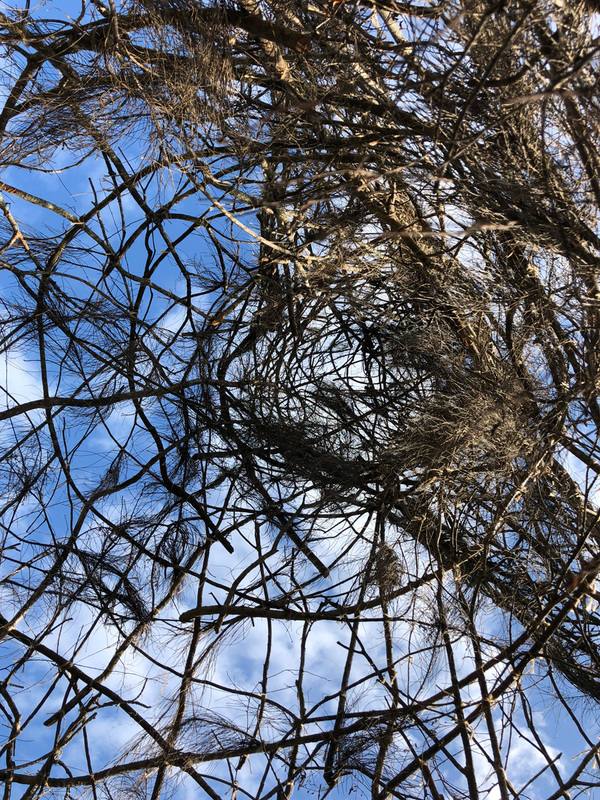 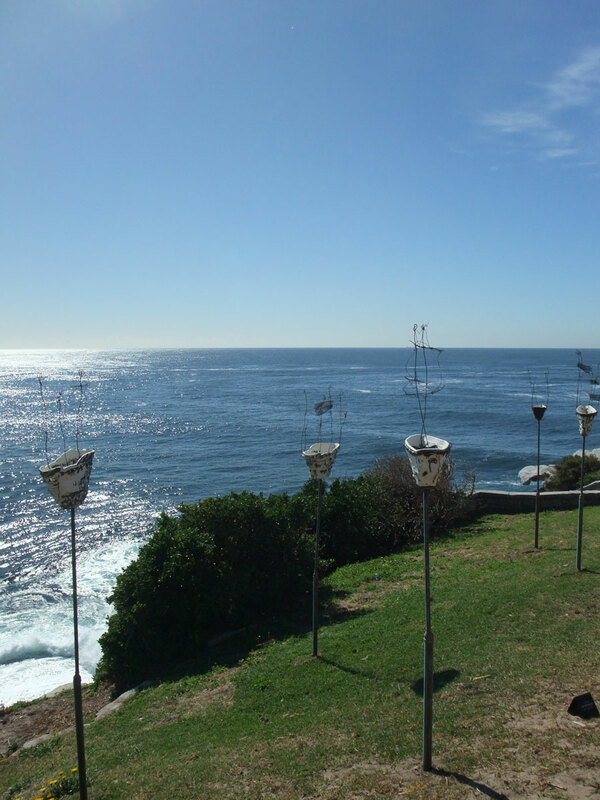 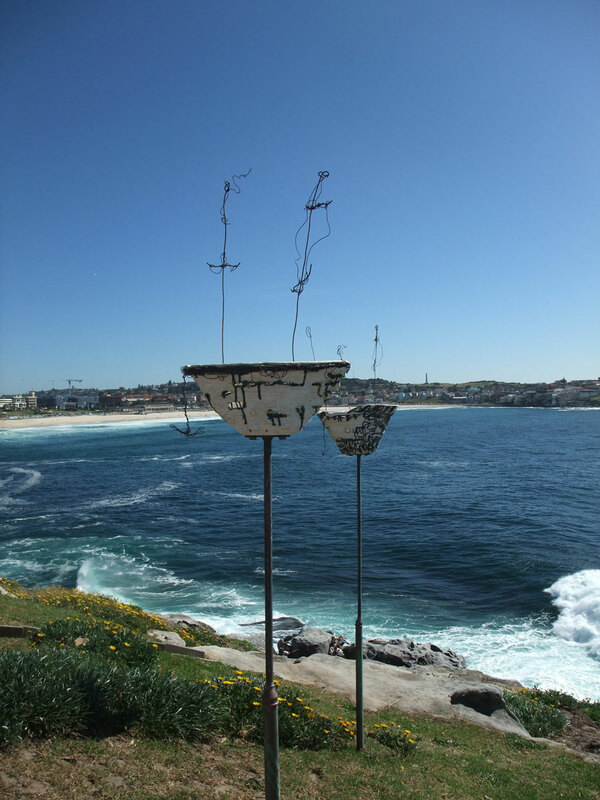 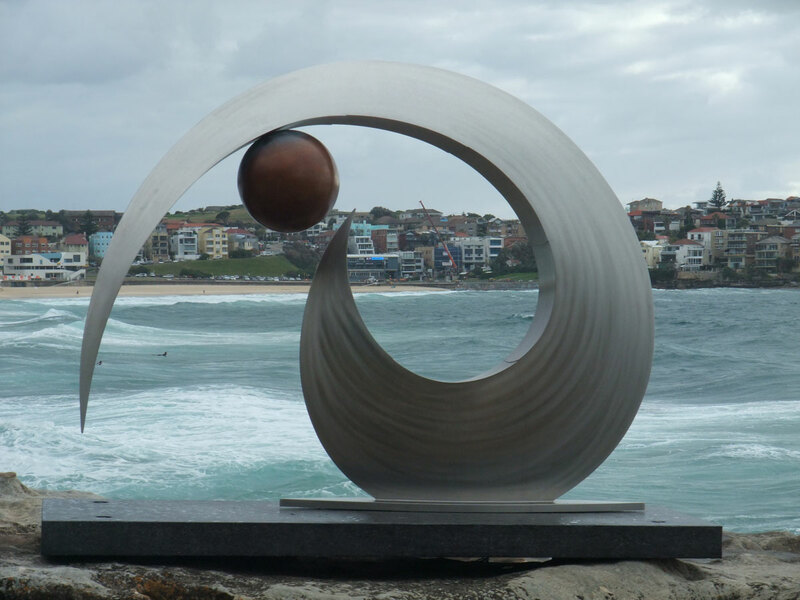 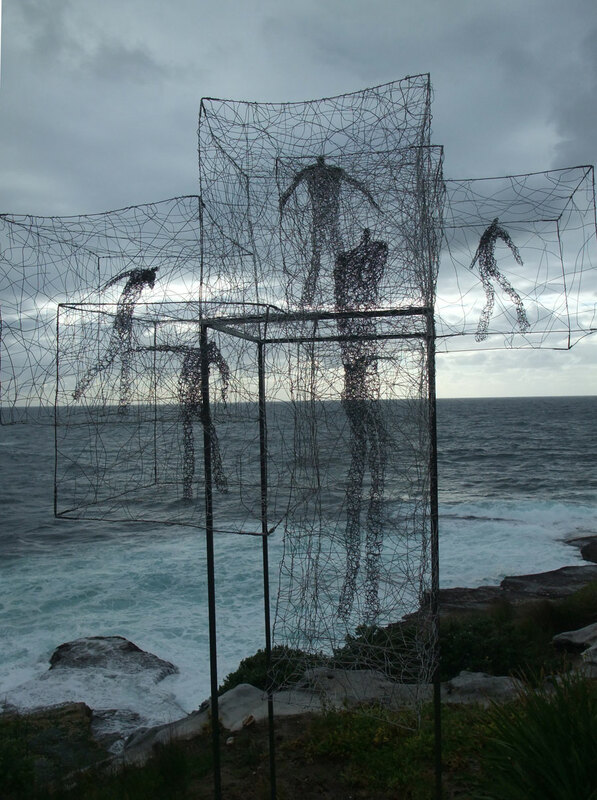 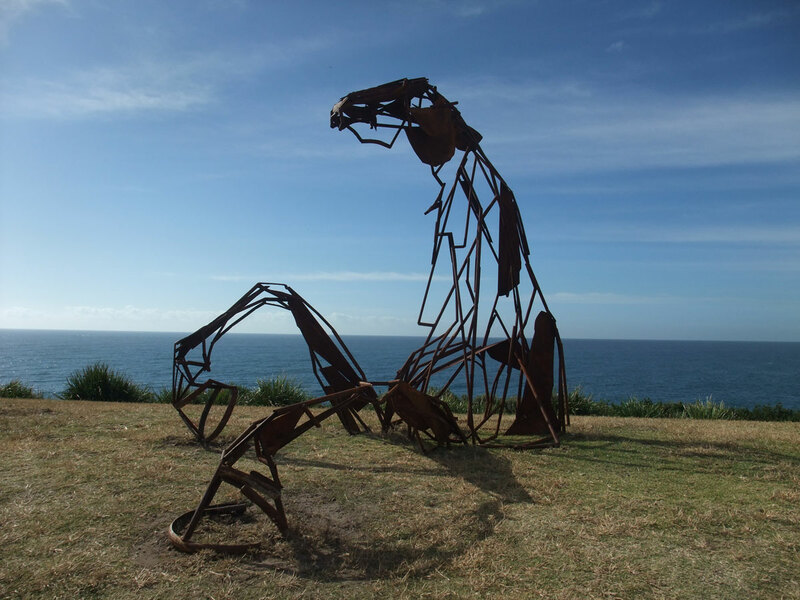 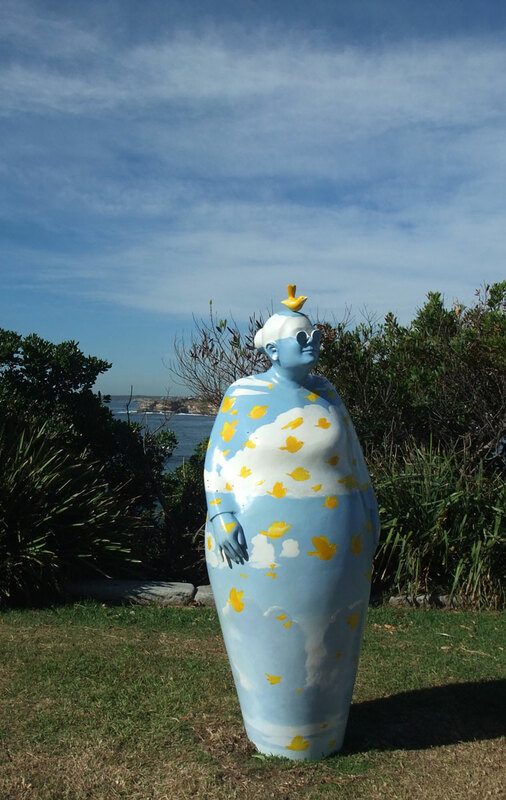 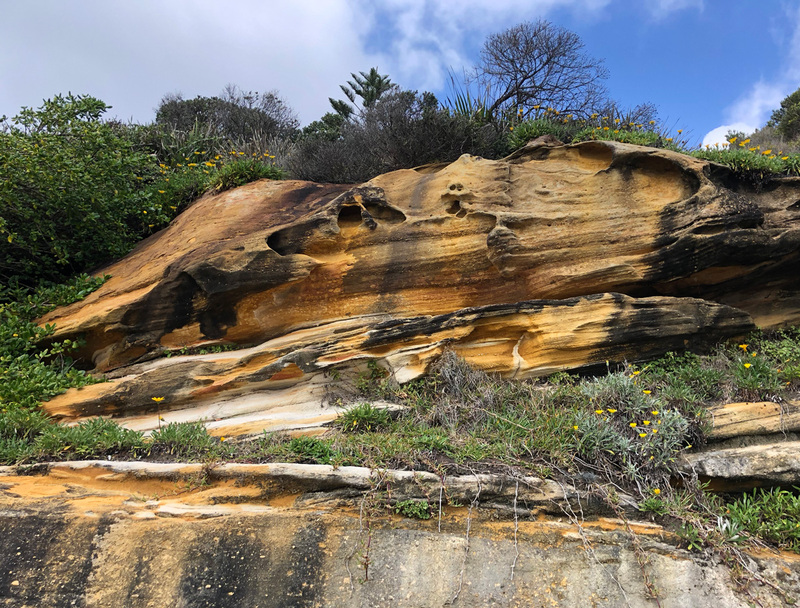 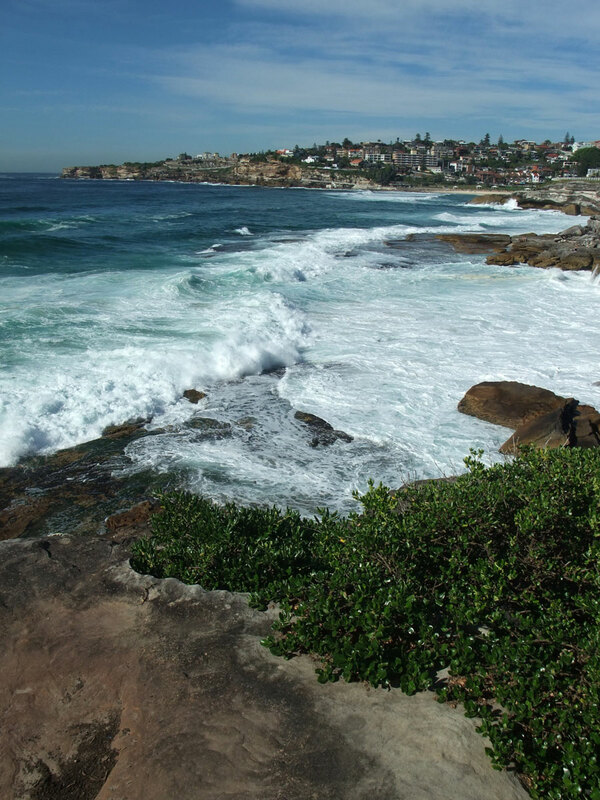 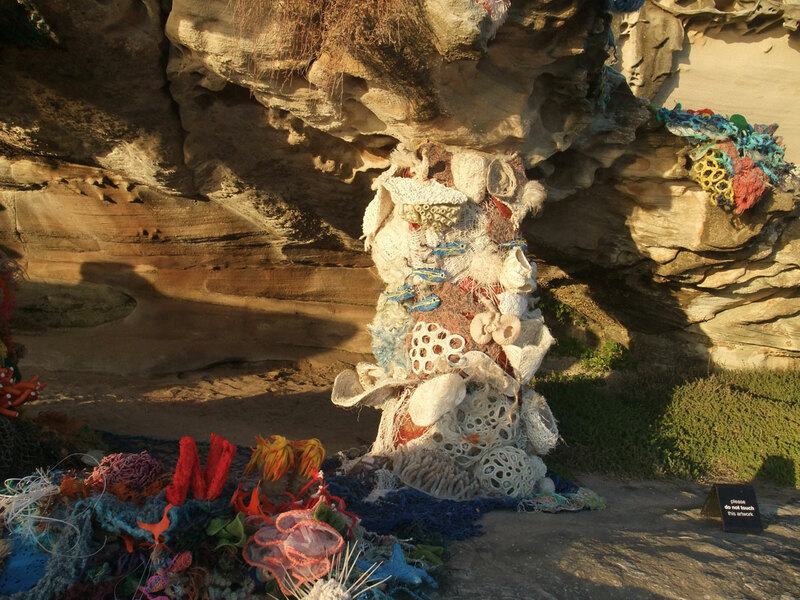 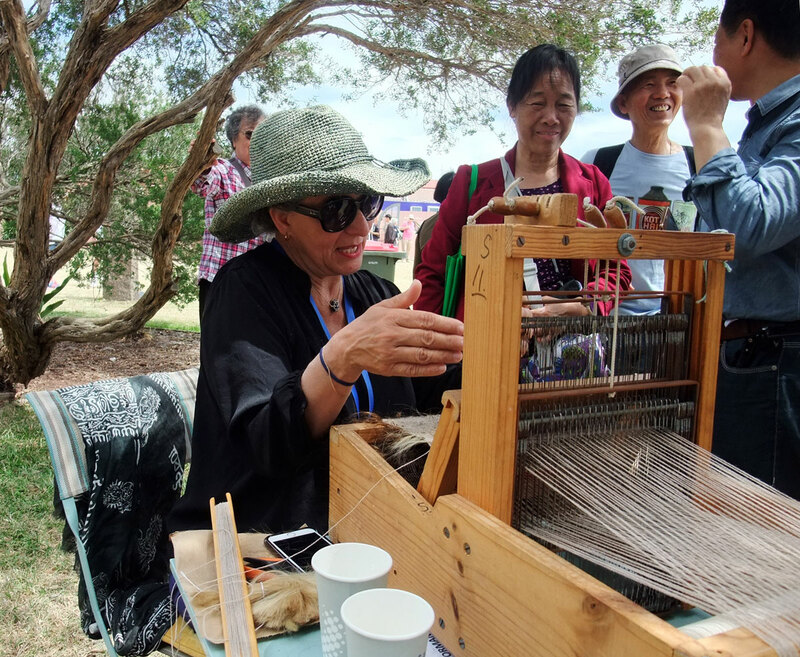 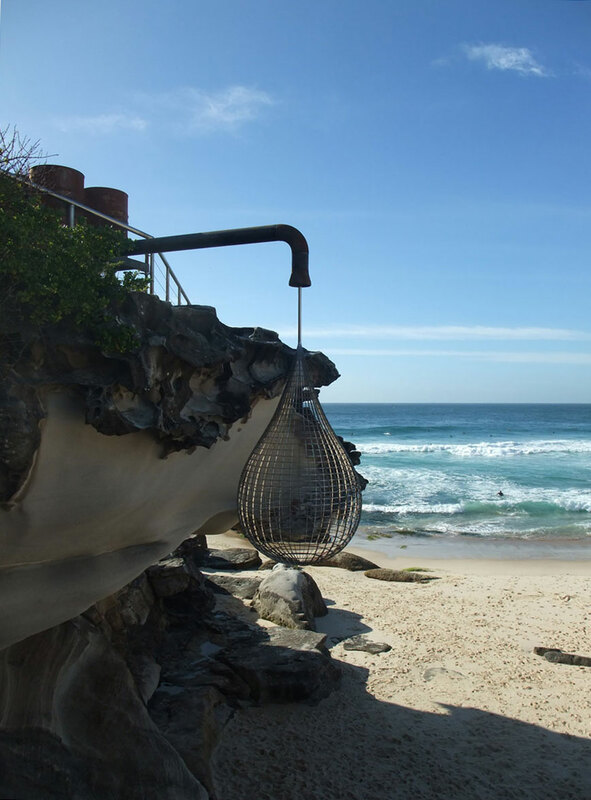 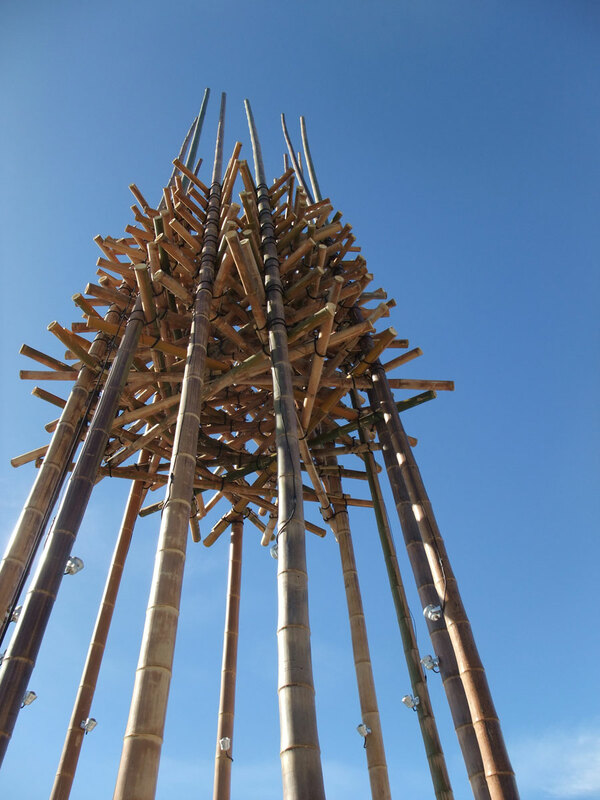 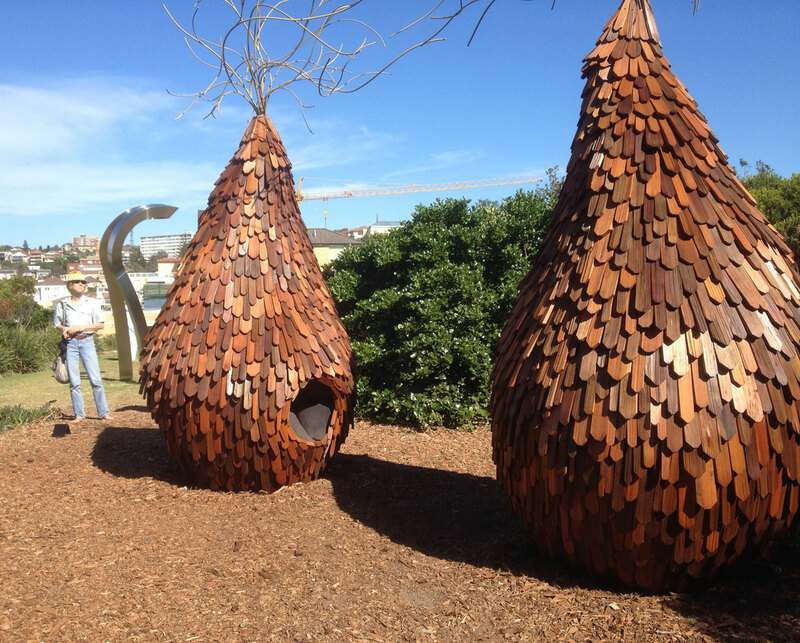 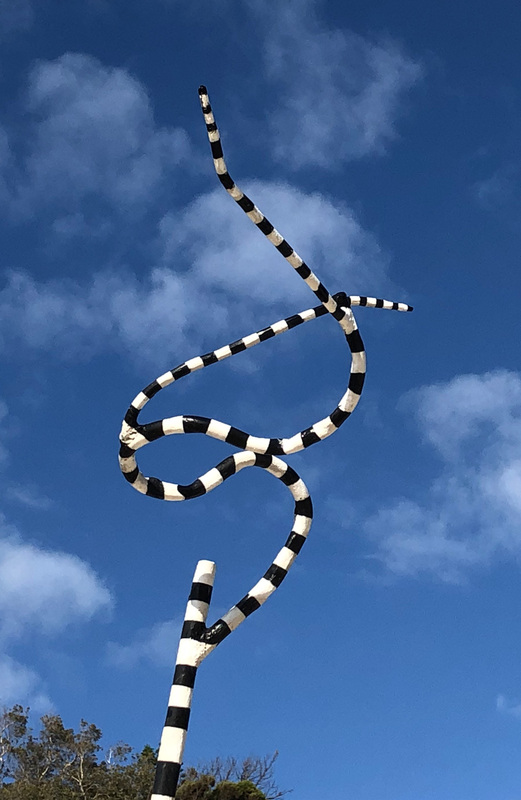 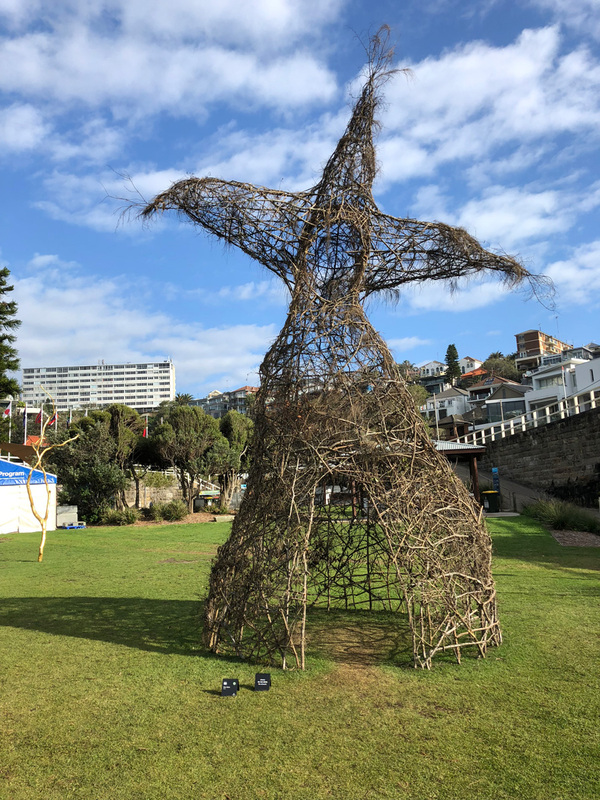 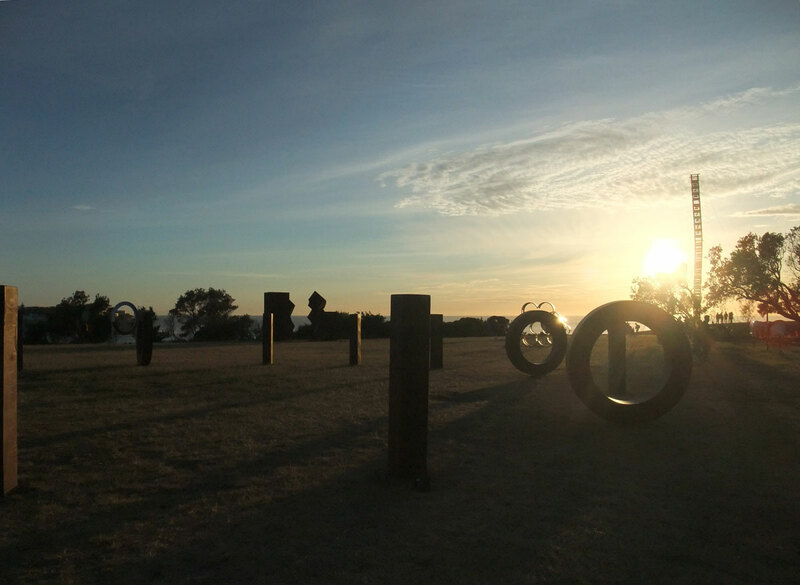 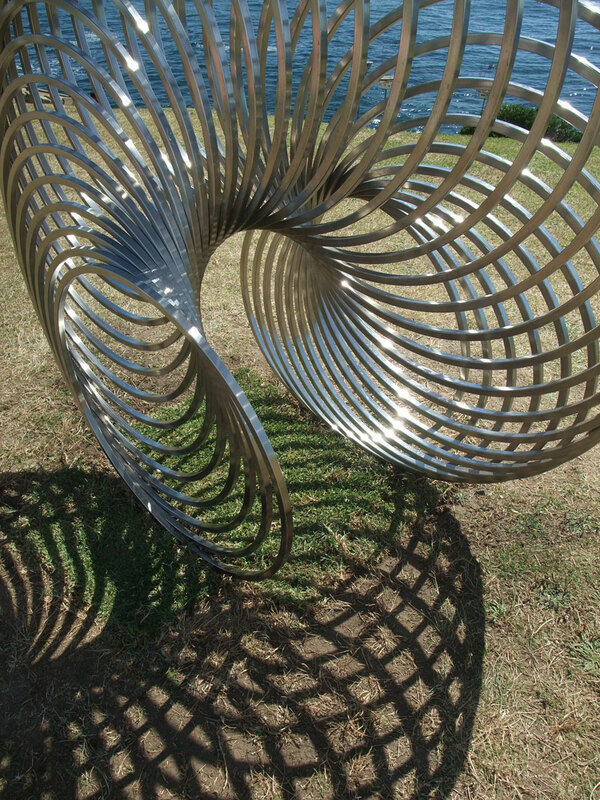 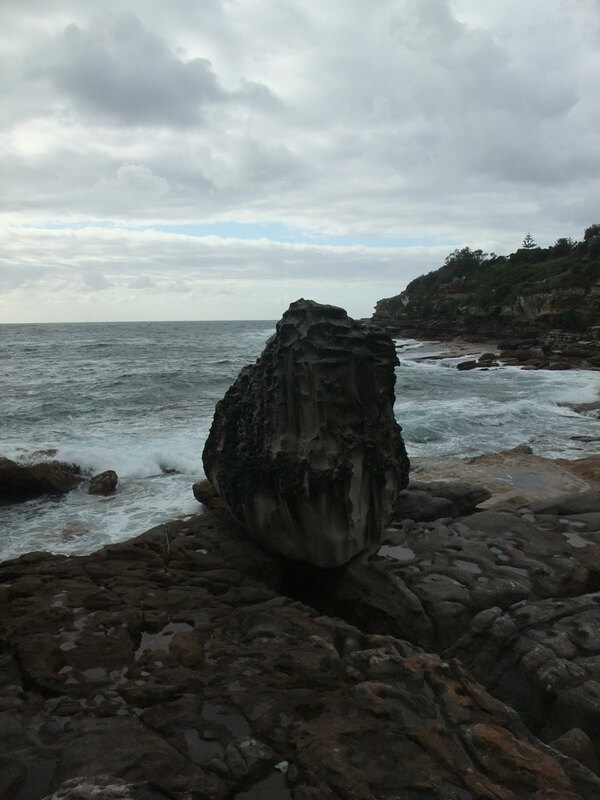 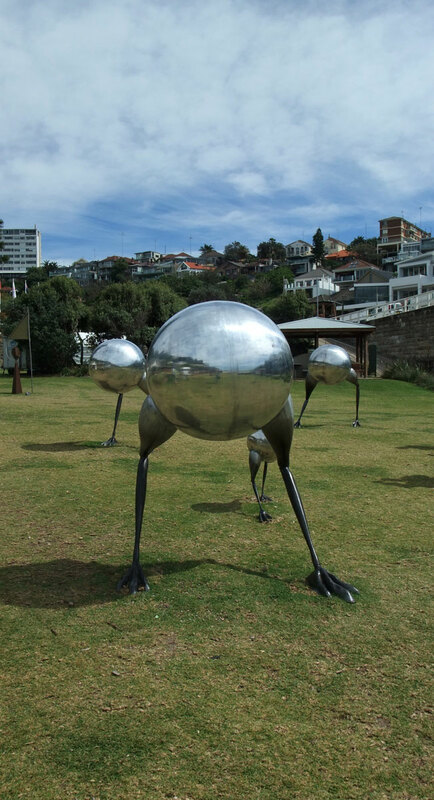 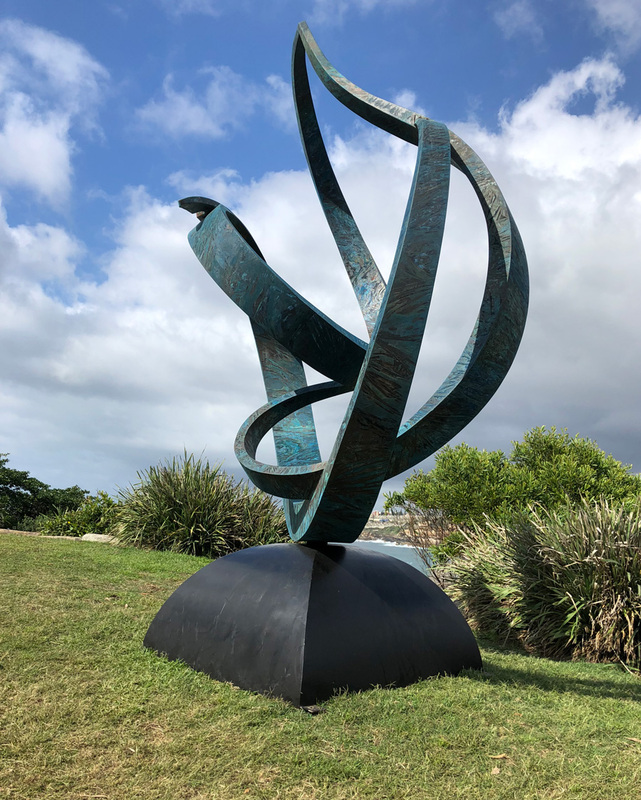 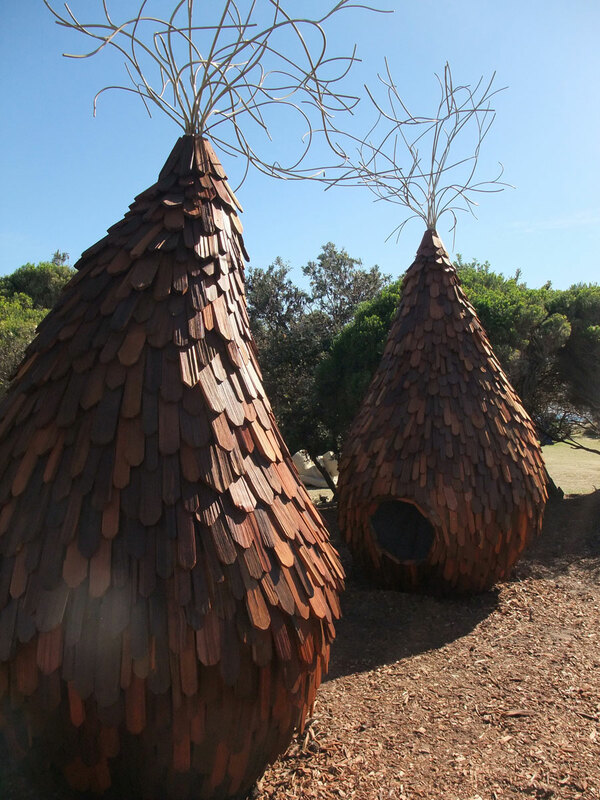 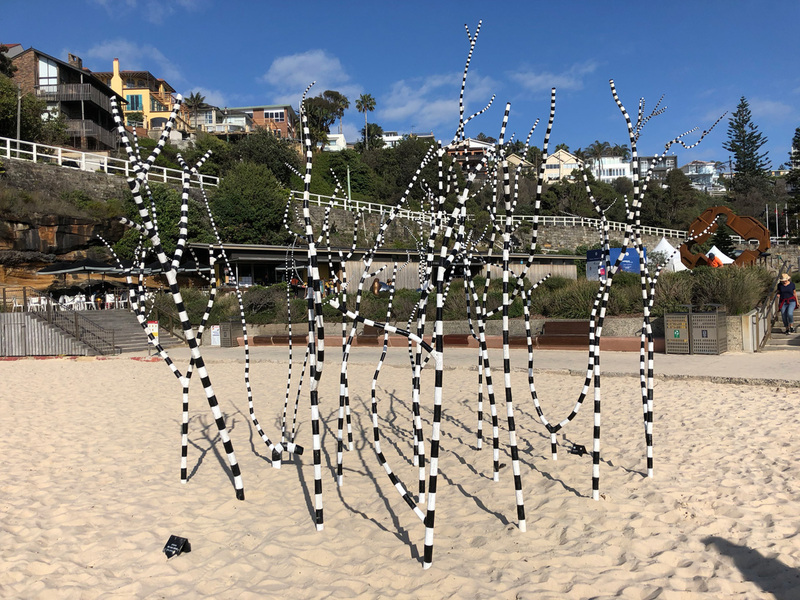 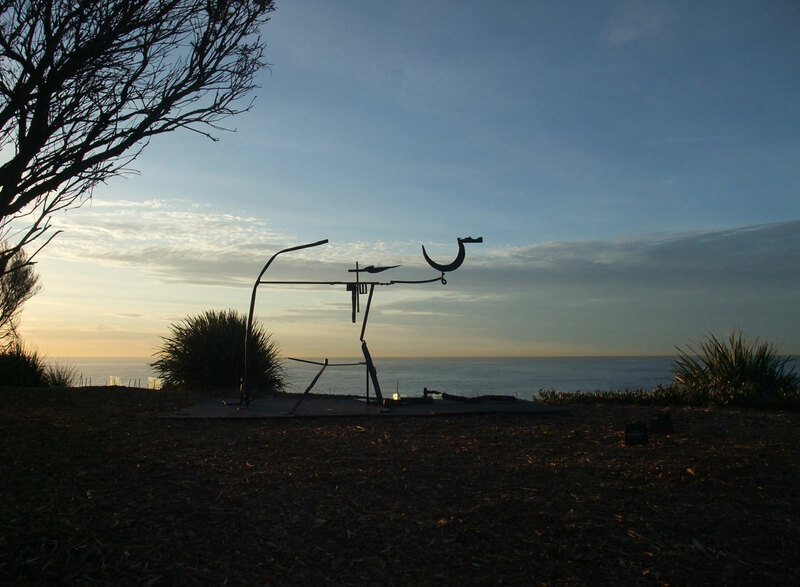 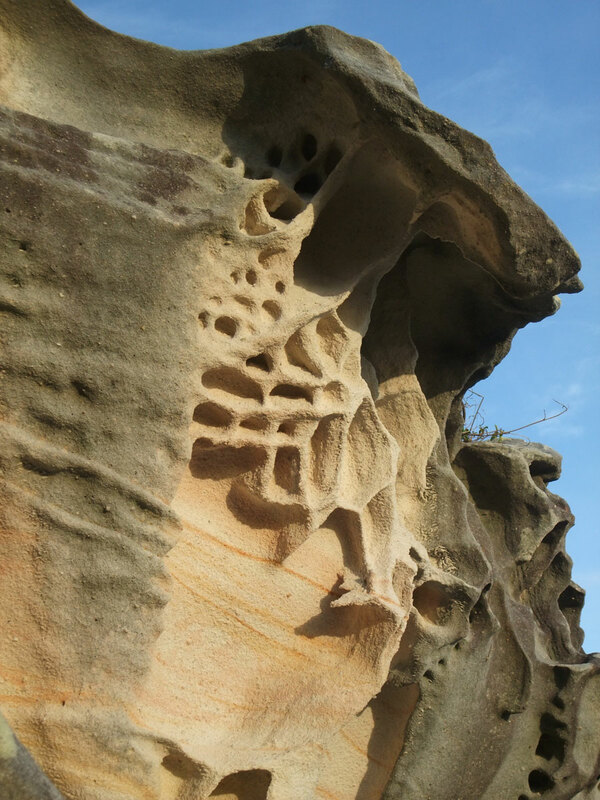 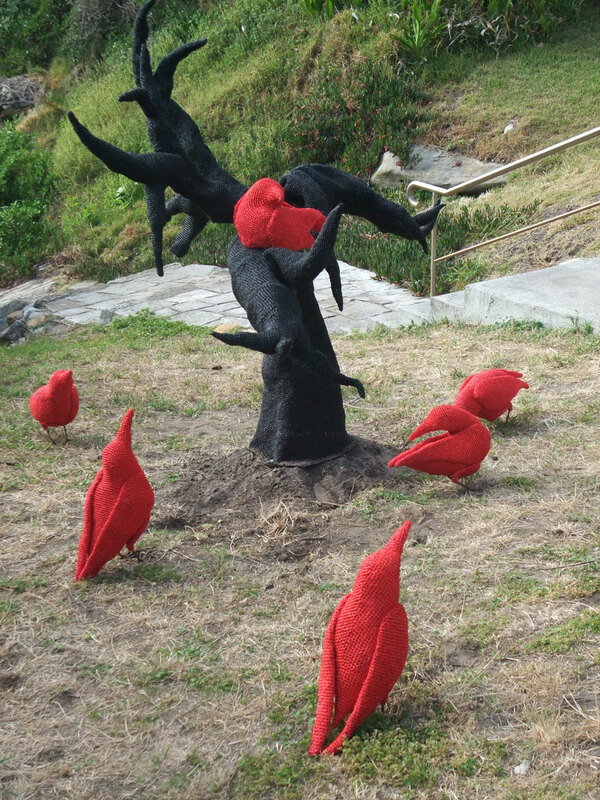 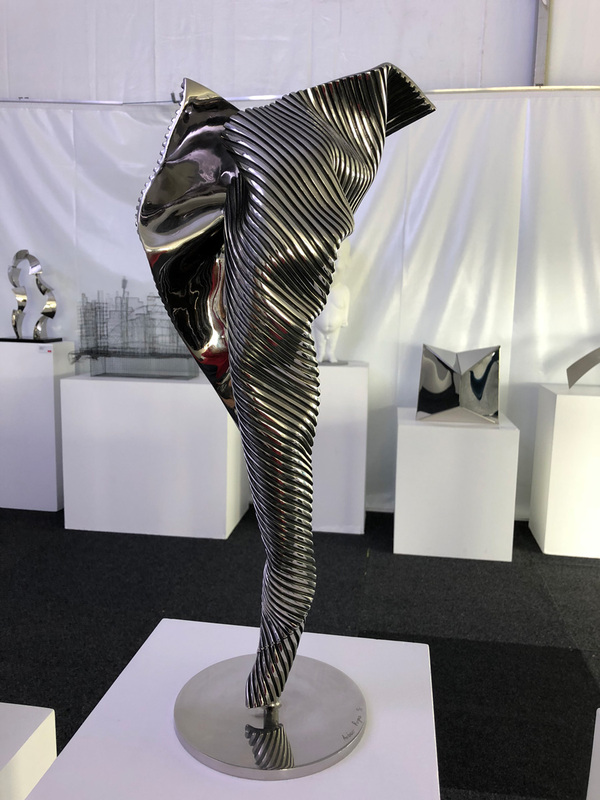 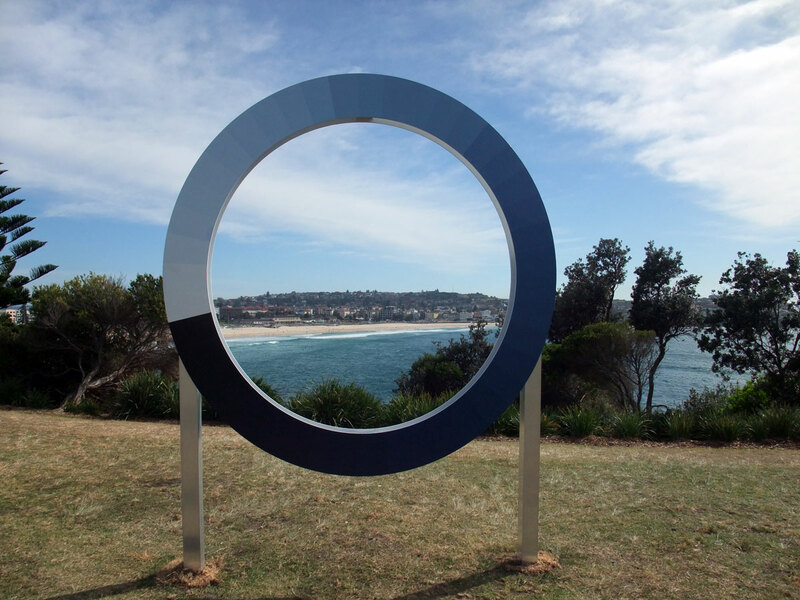 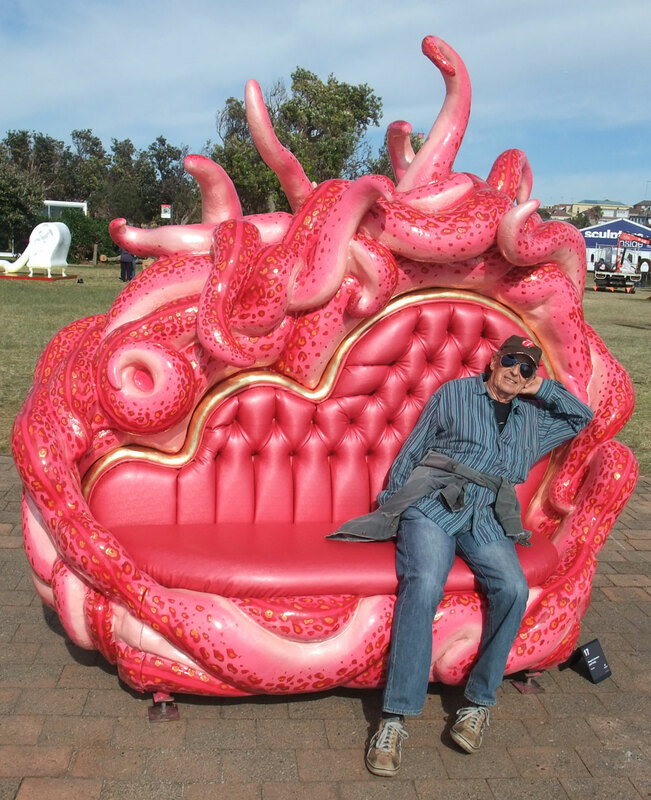 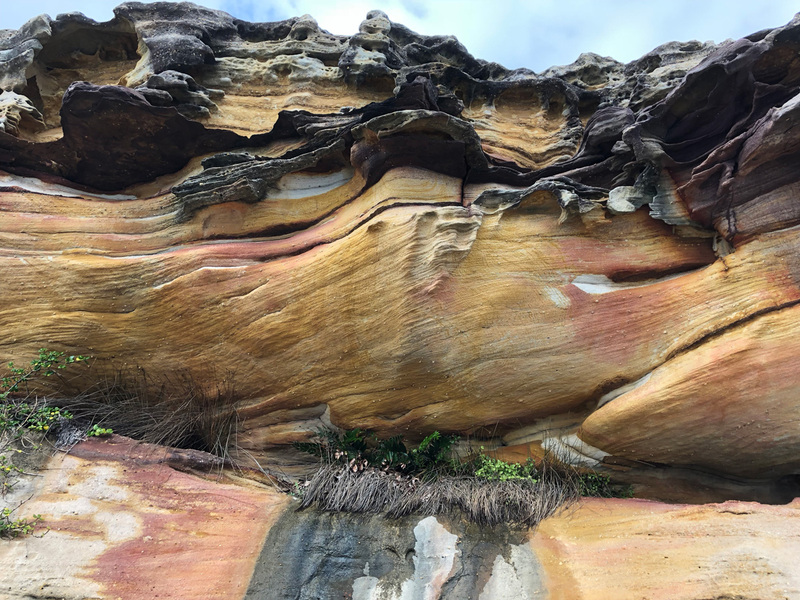 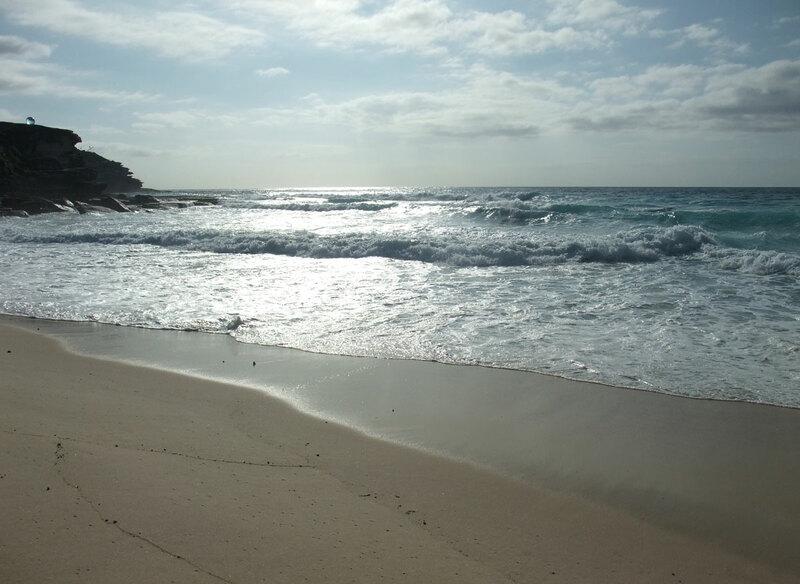 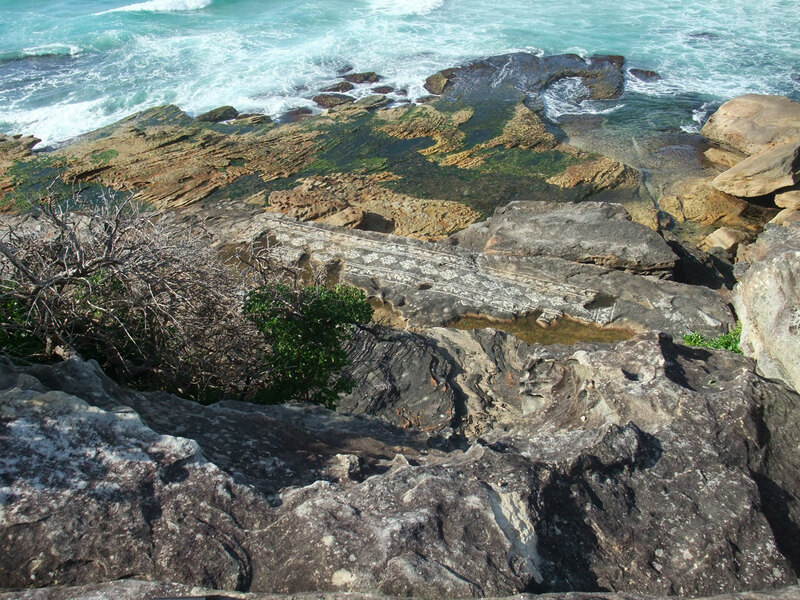 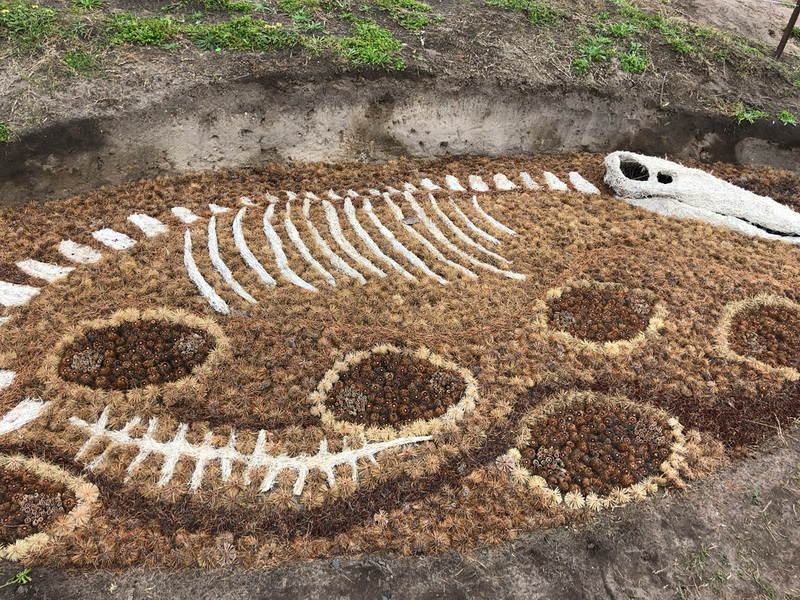 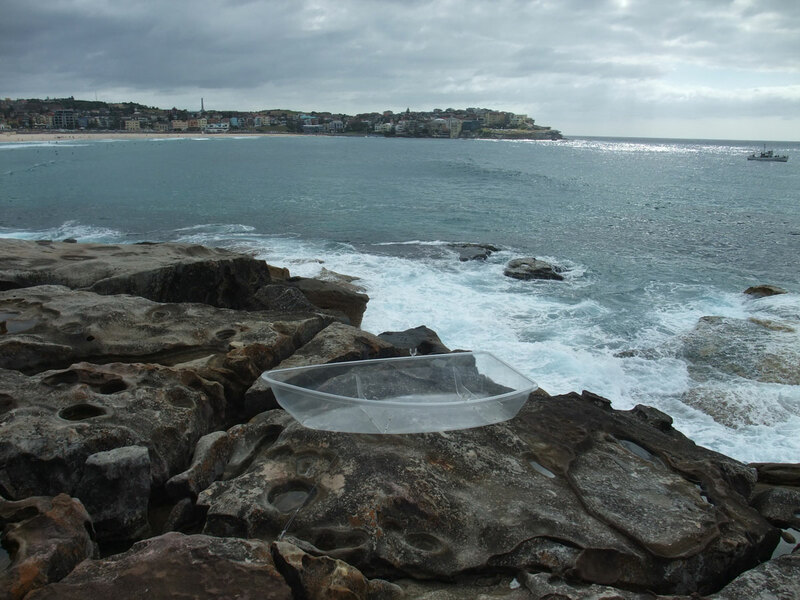 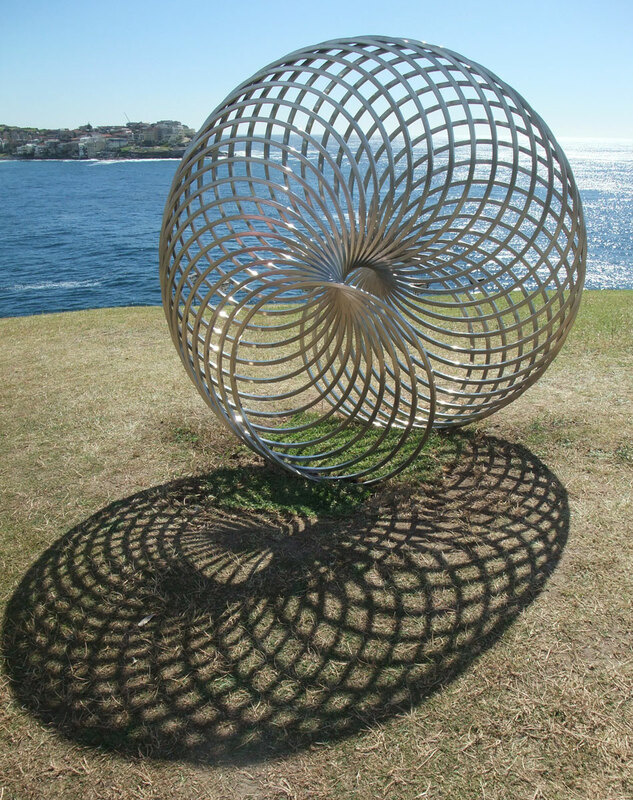 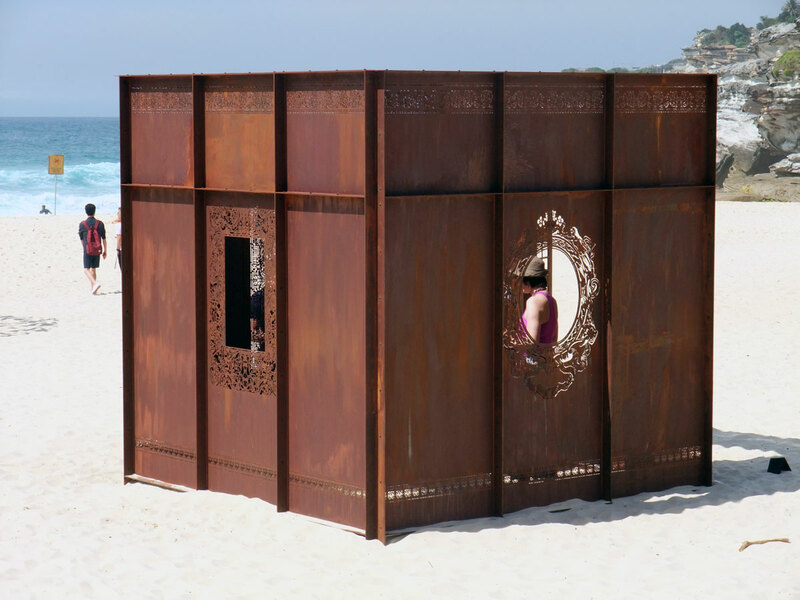 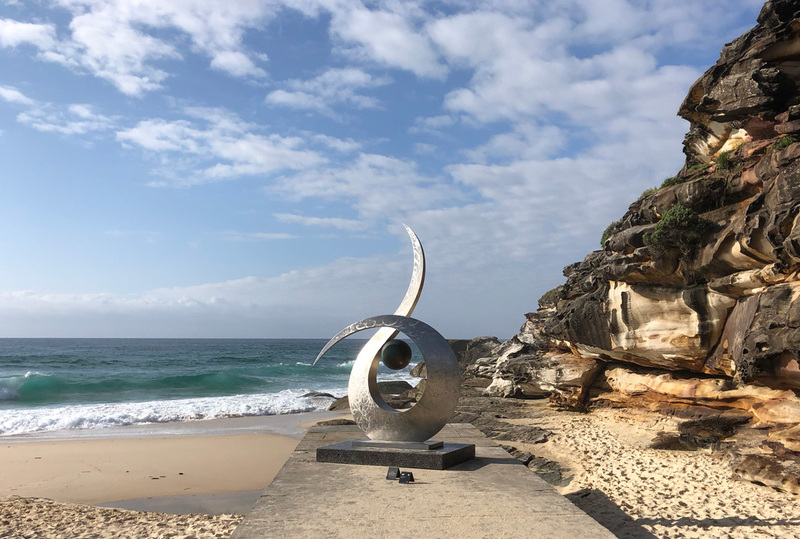 Sculpture by the Sea is on again here in Sydney ! 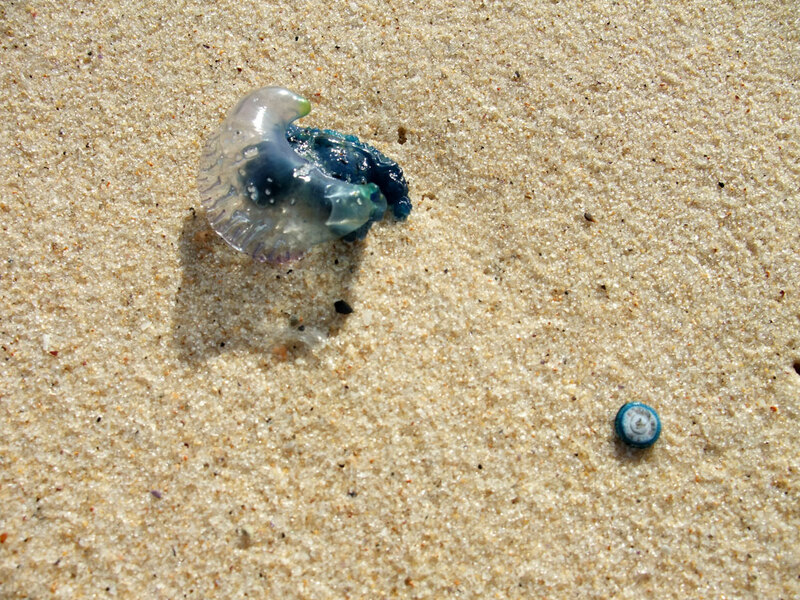 and this is a bluebottle on the beach, so very pretty but they do have a sting!